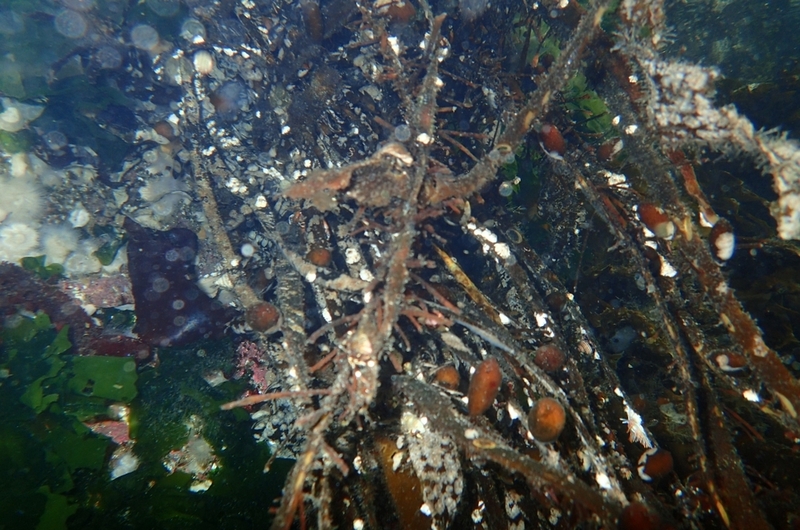 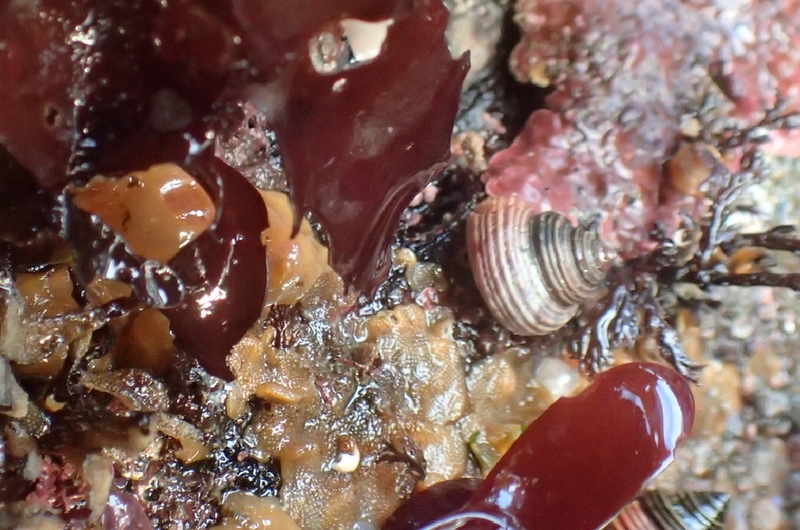 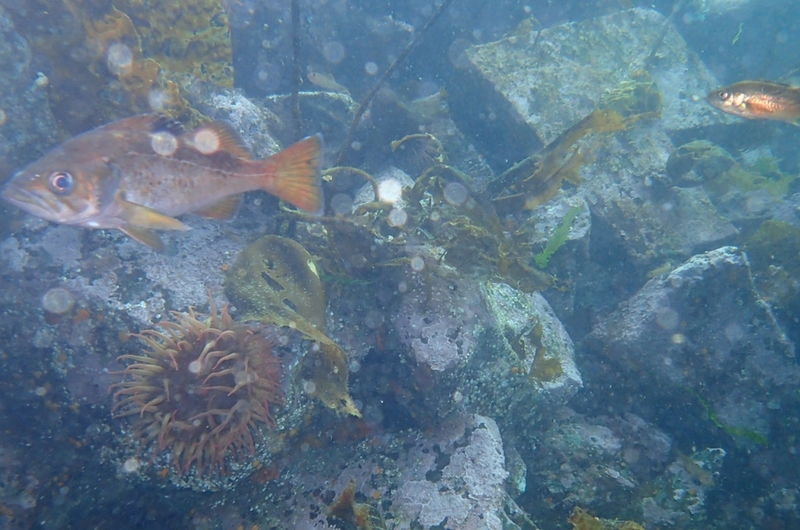 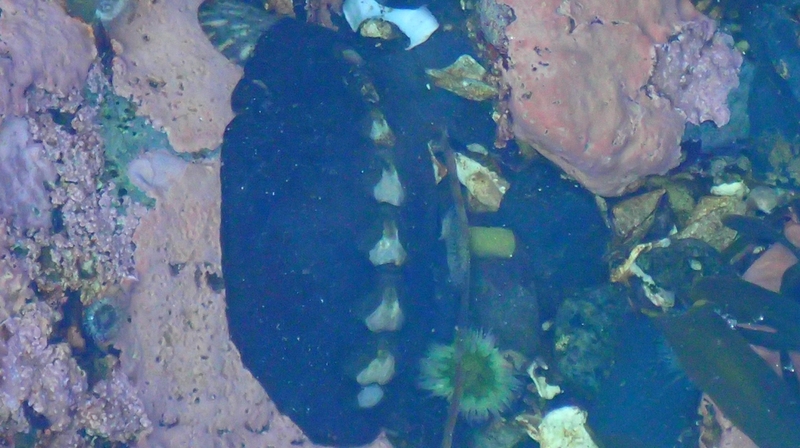 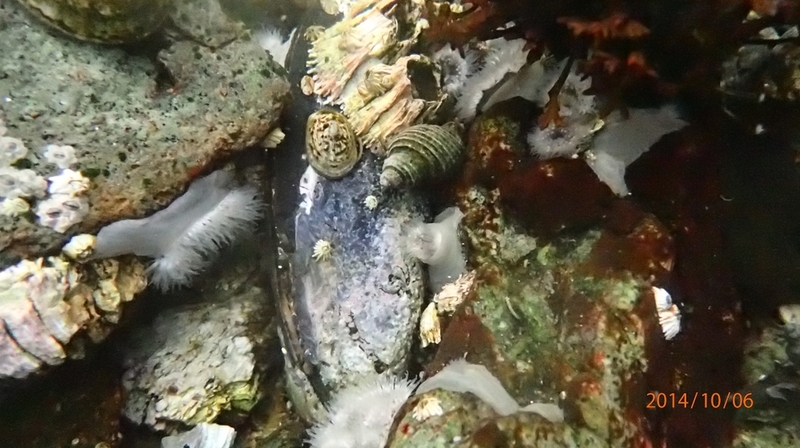 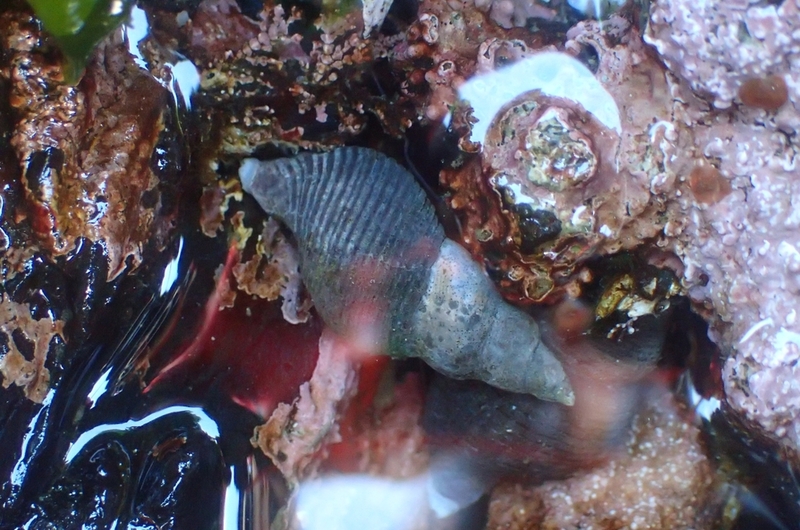 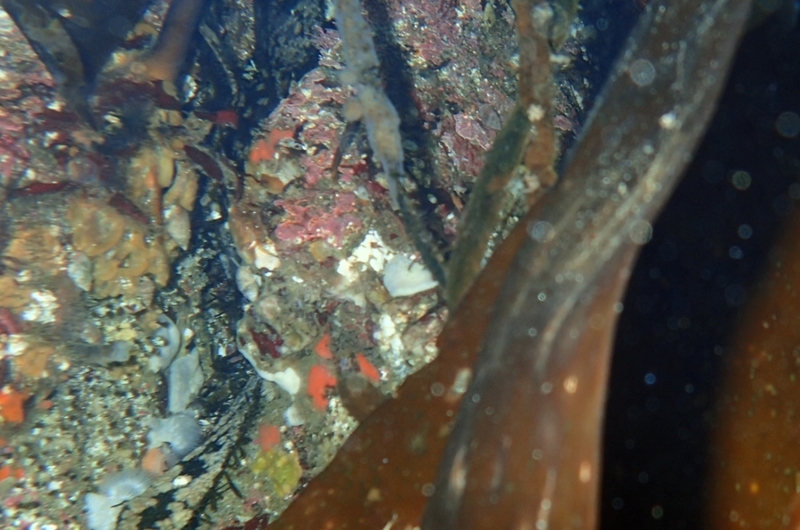 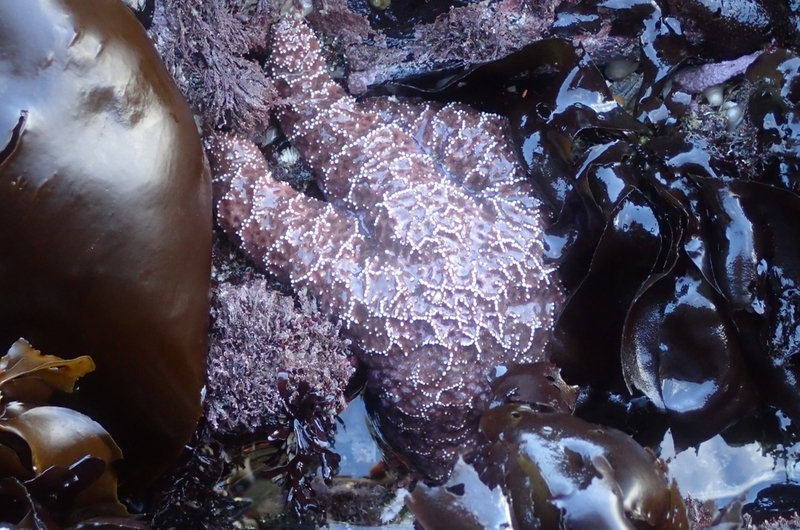 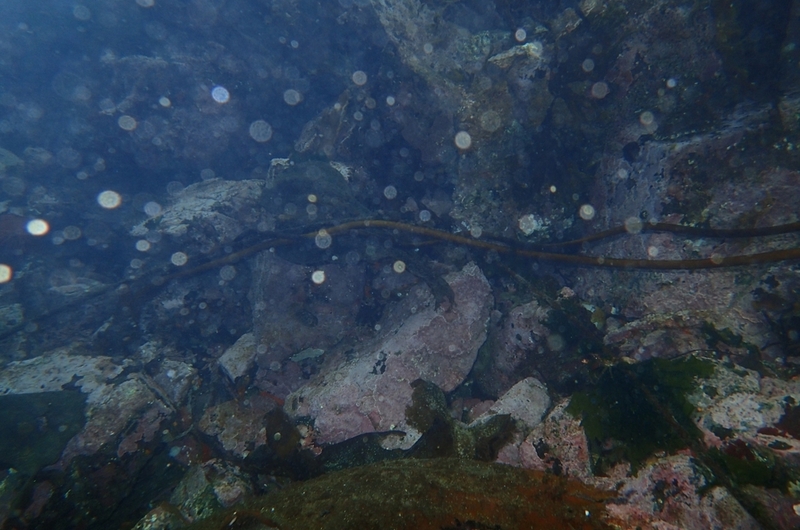 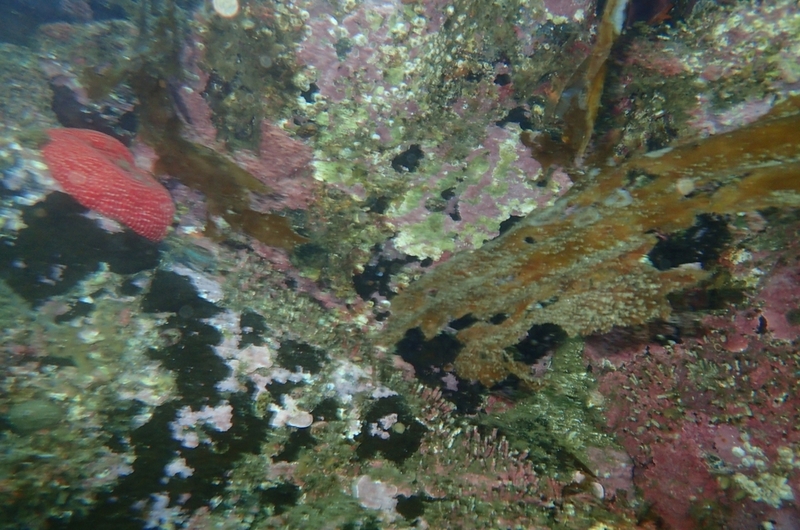 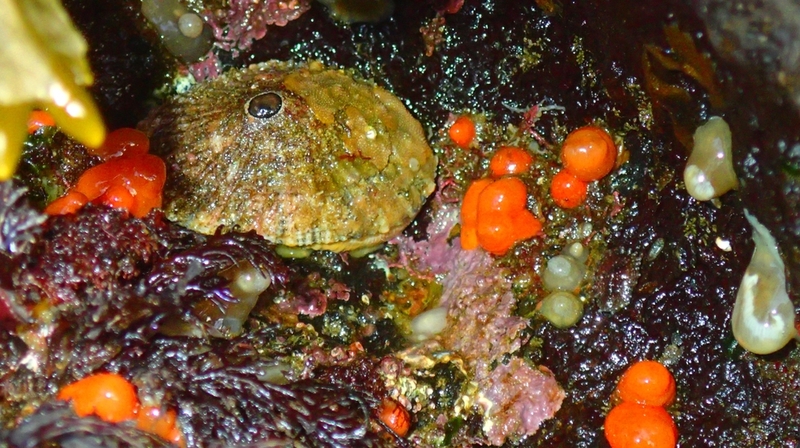 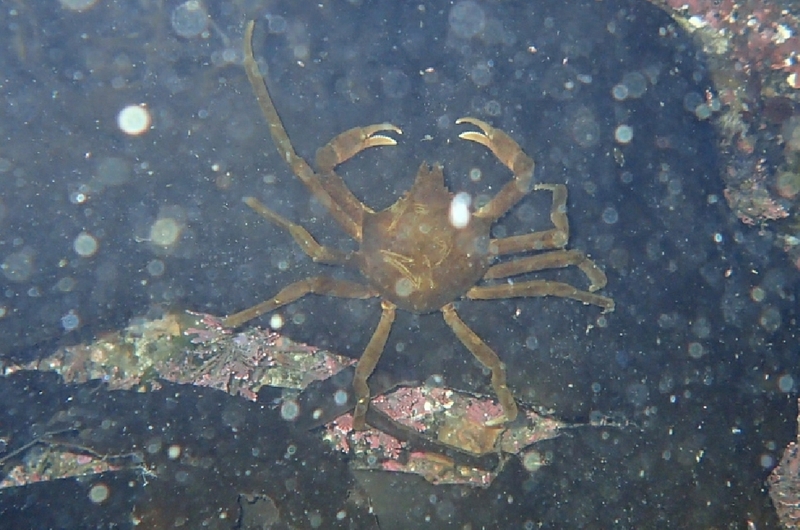 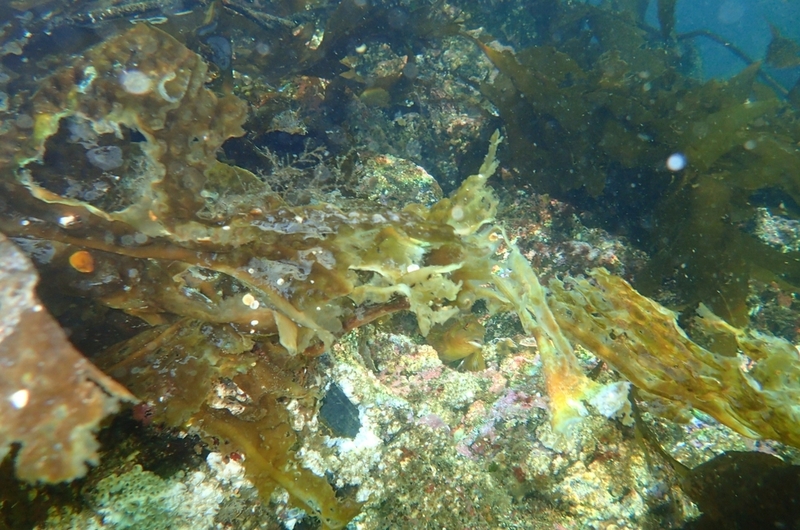 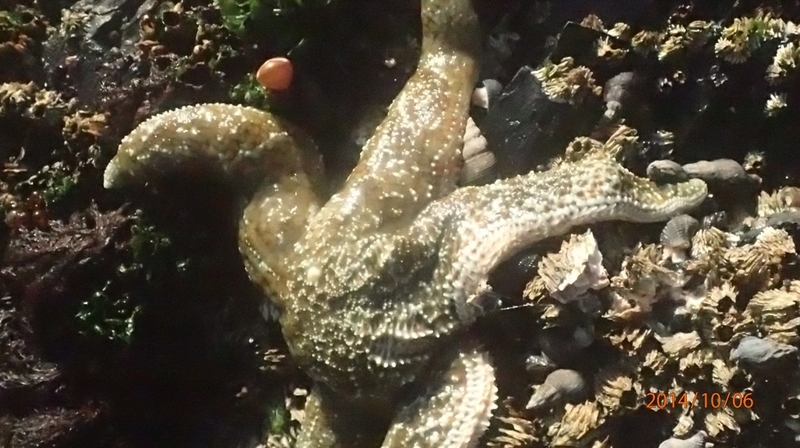 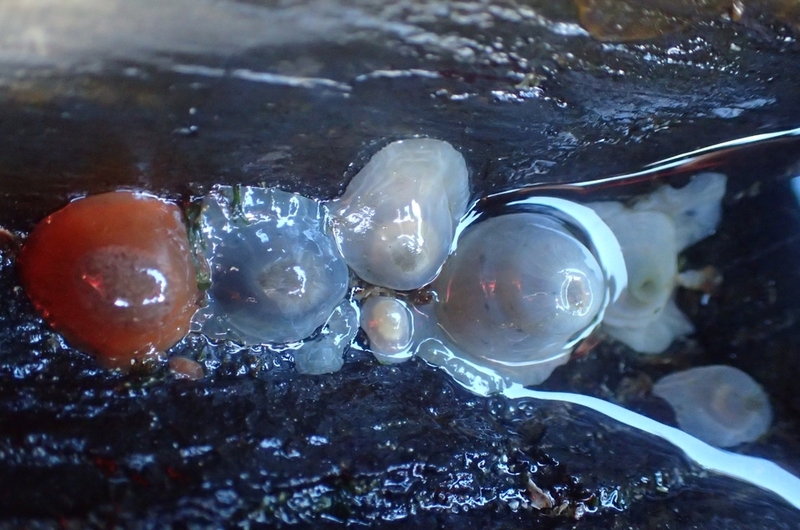 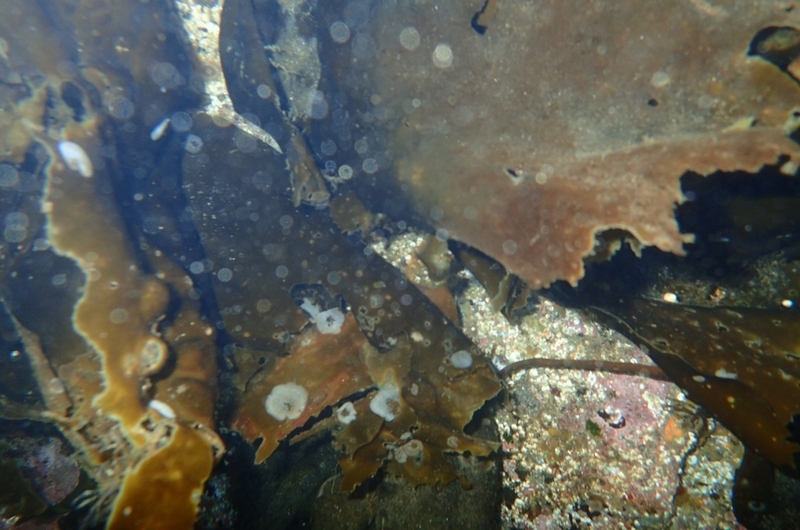 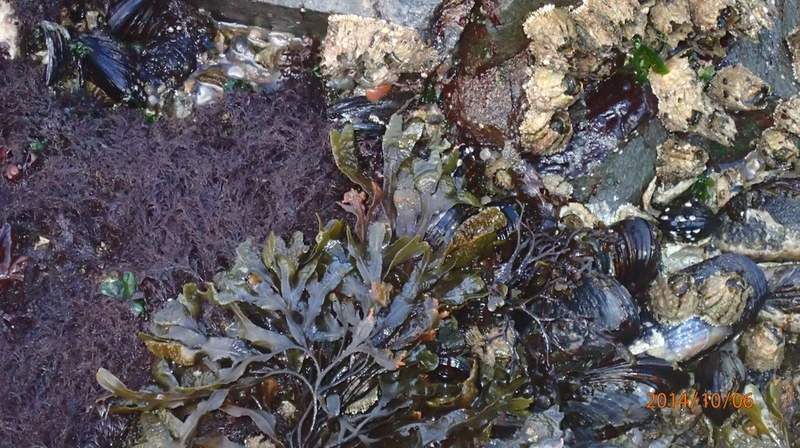 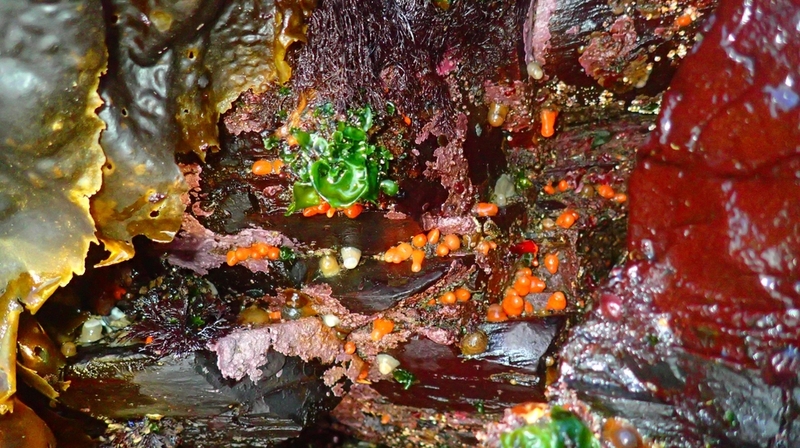 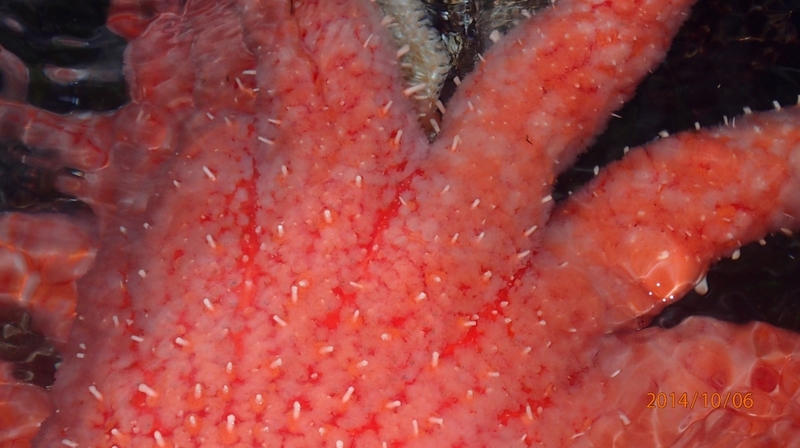 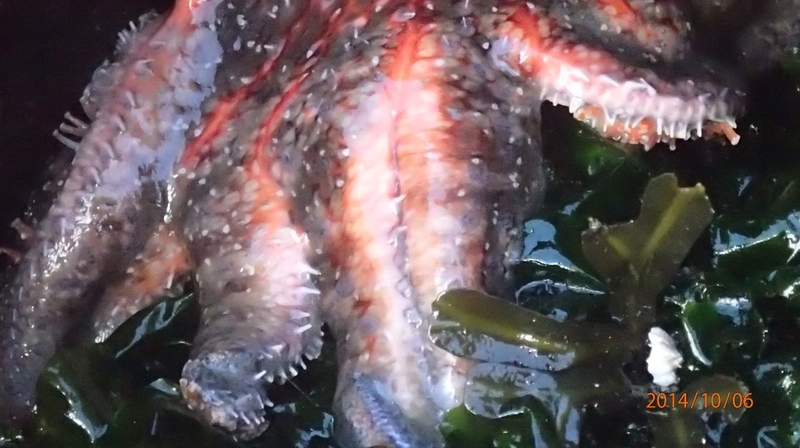 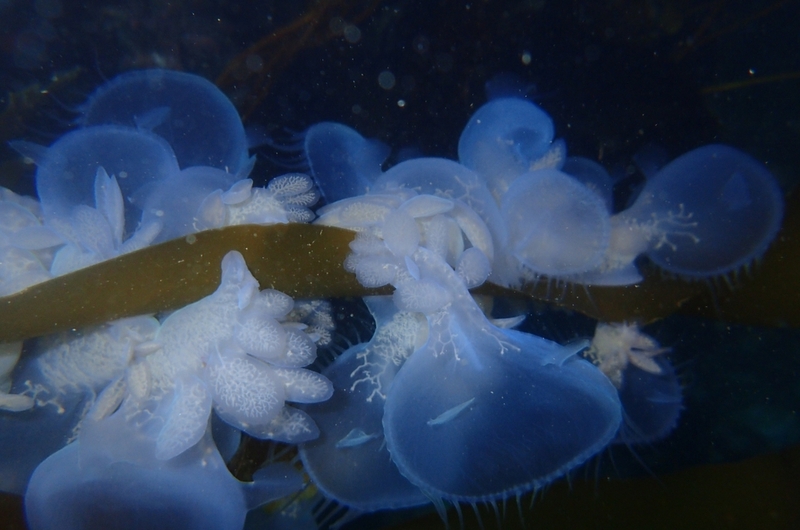 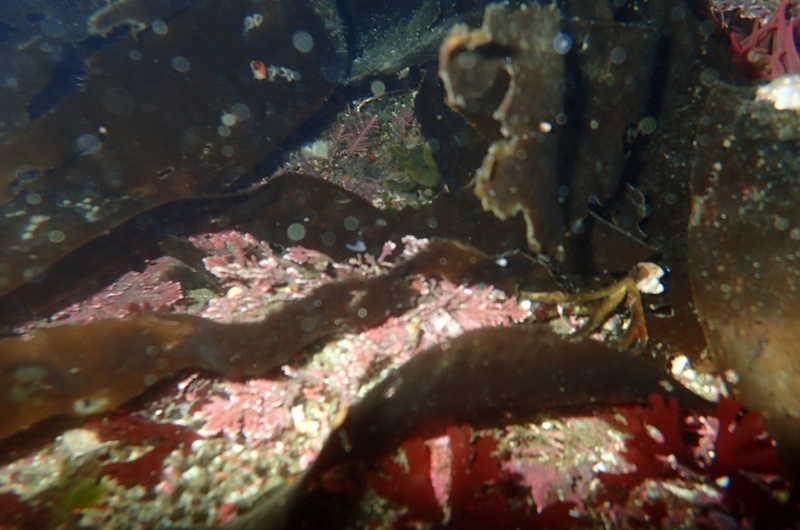 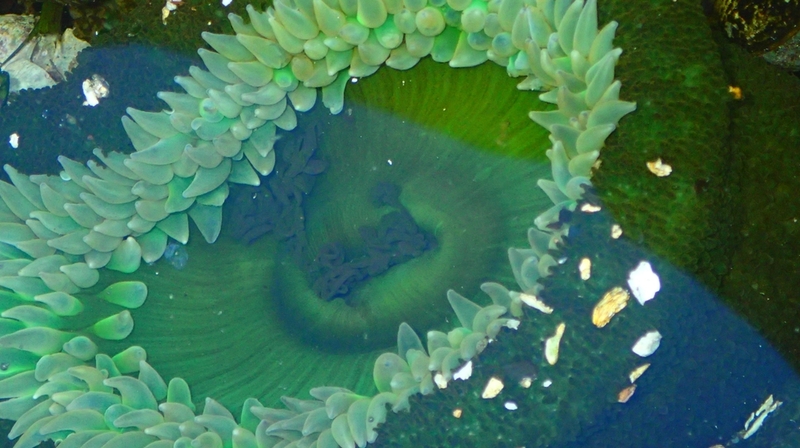 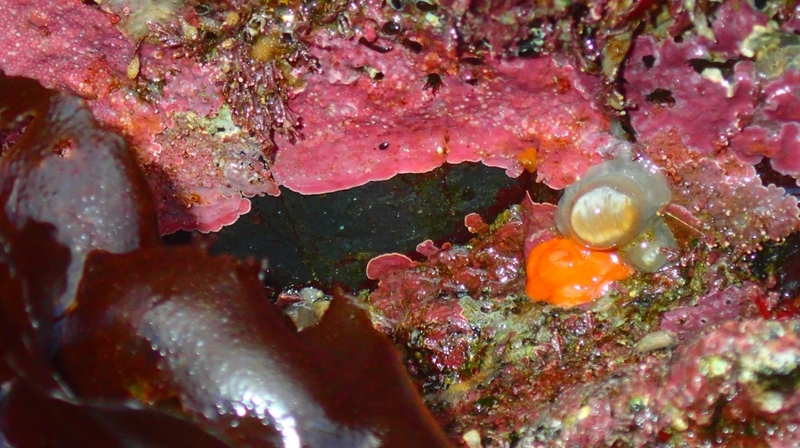 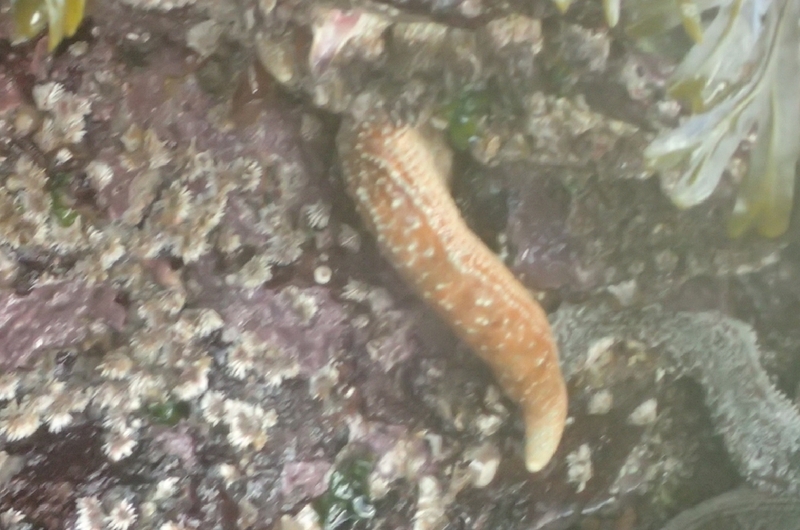 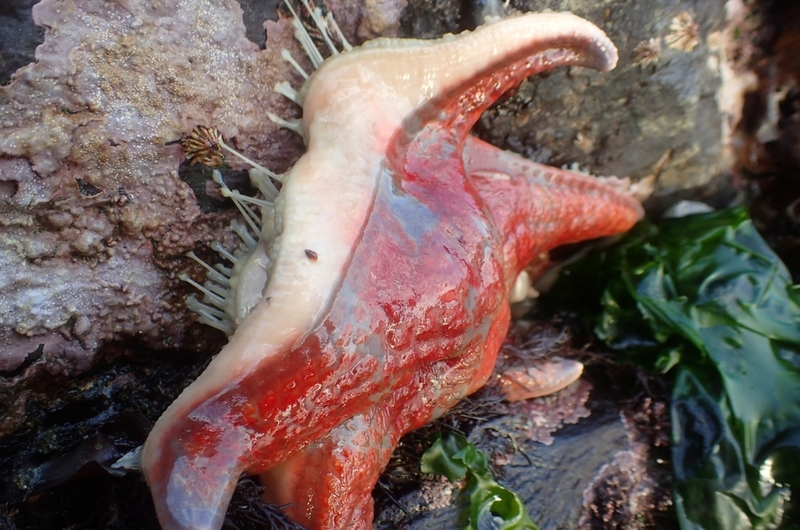 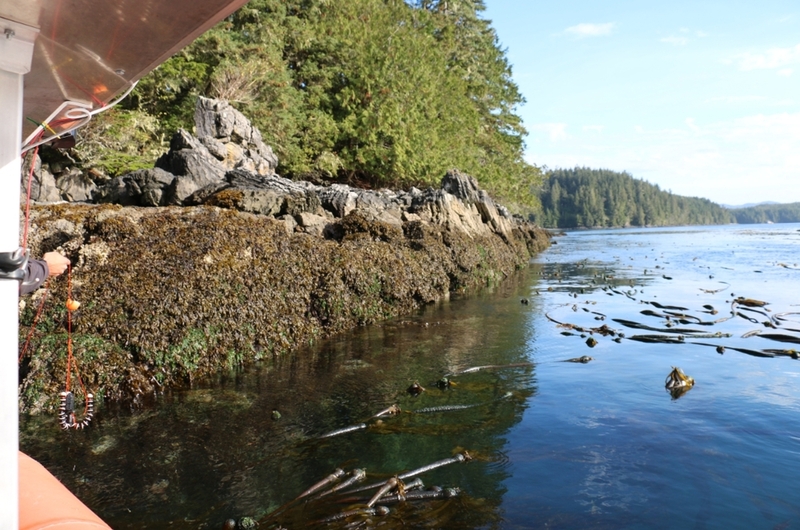 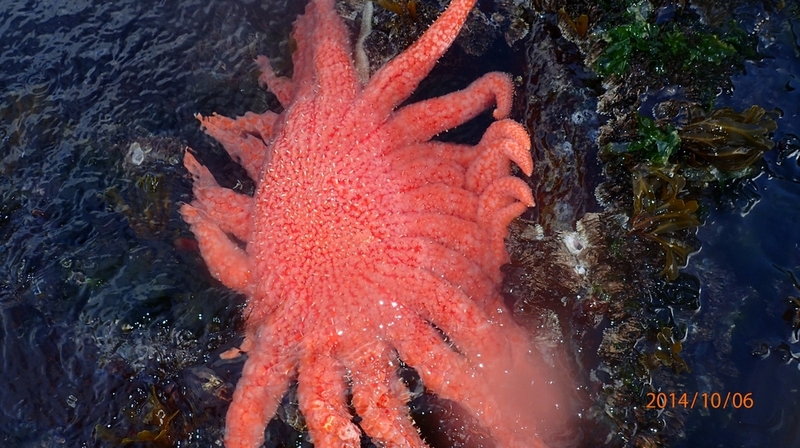 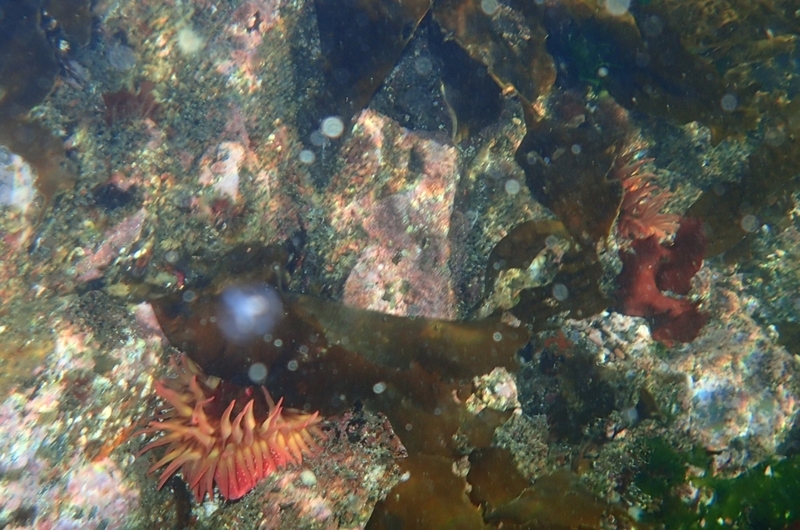 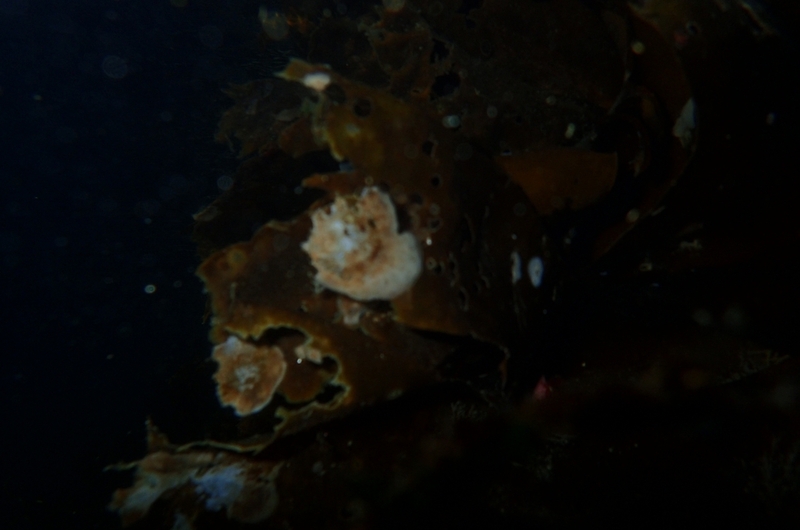 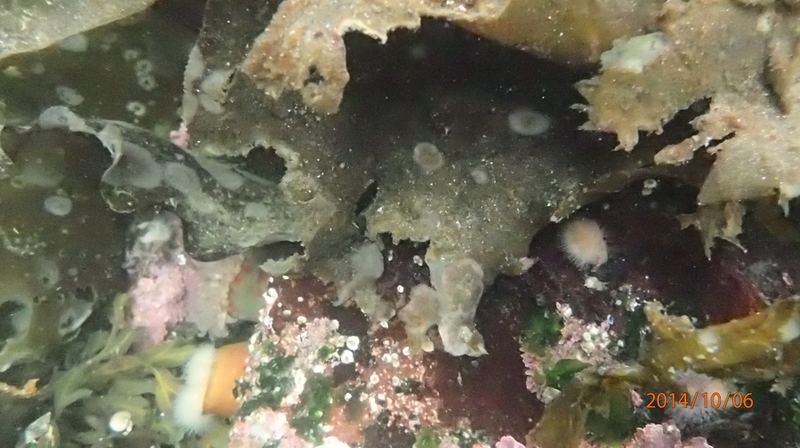 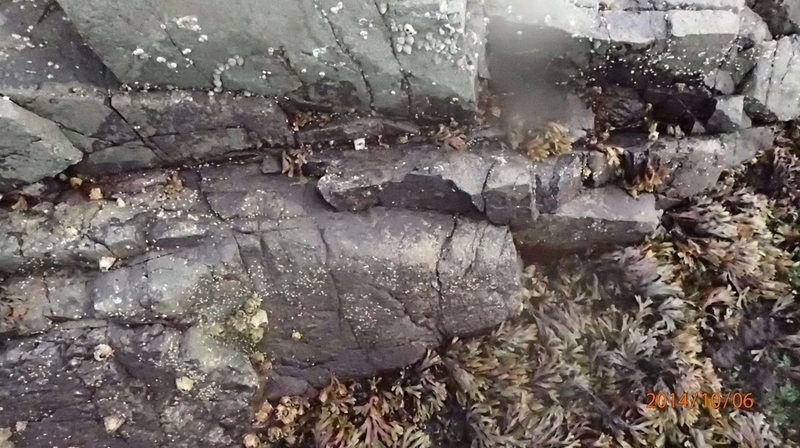 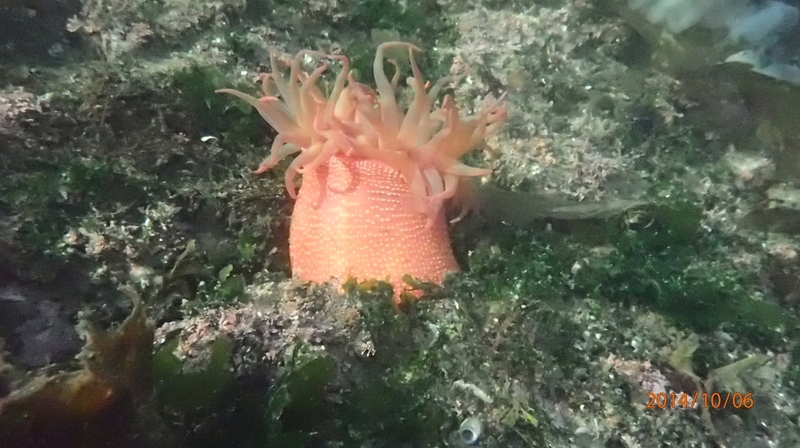 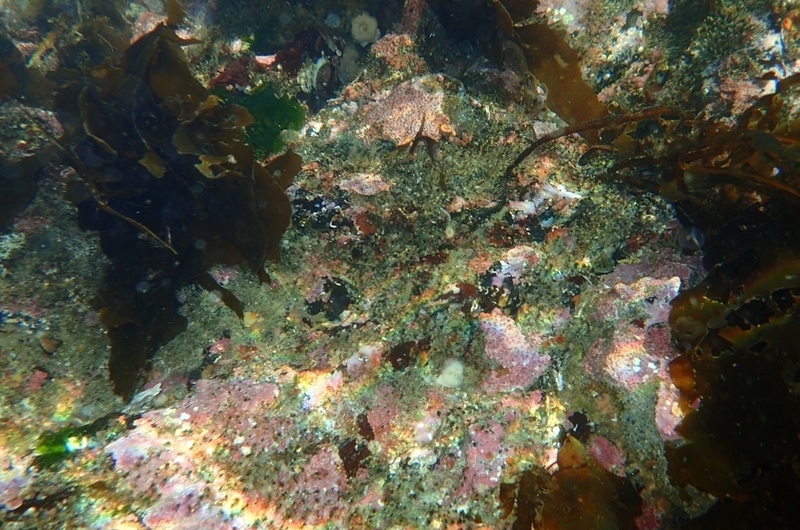 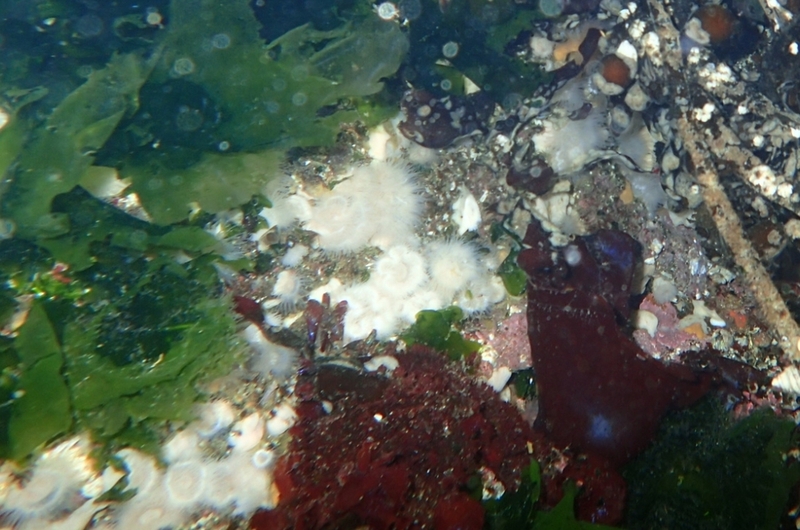 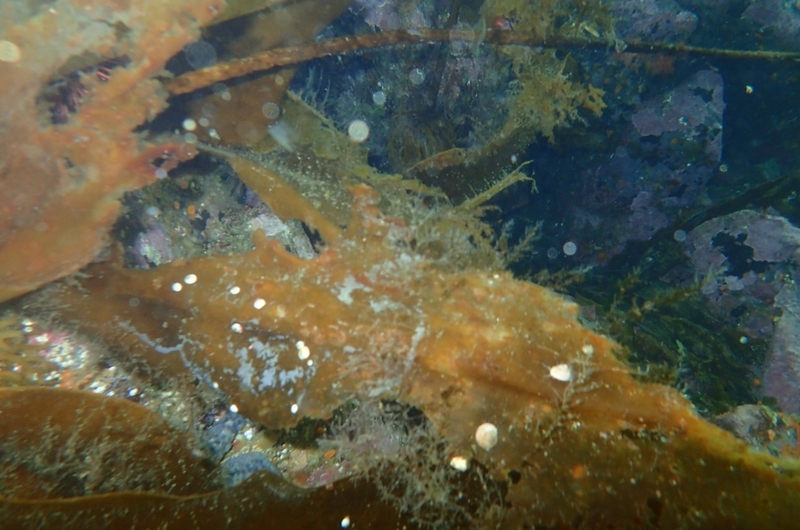 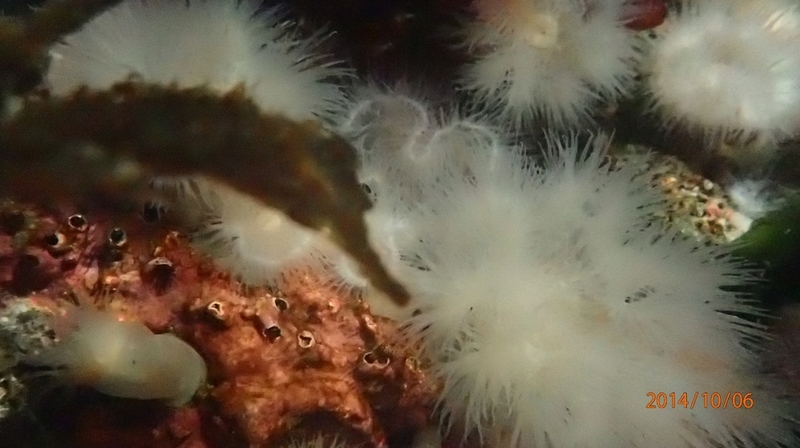 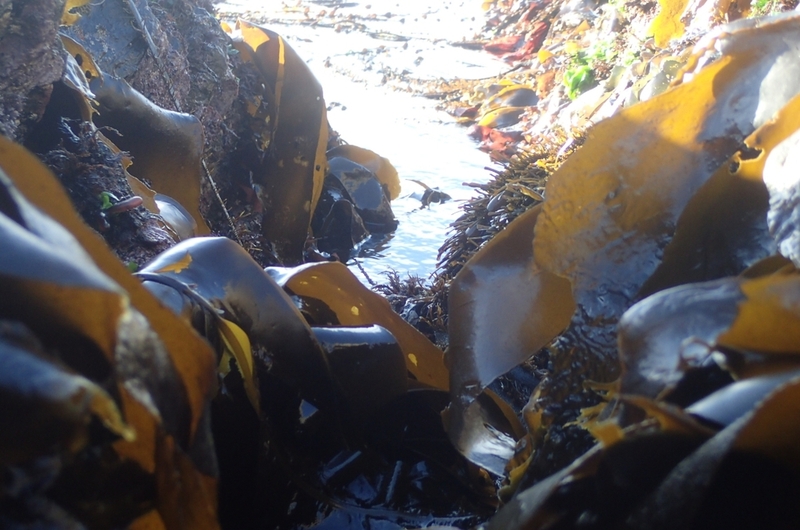 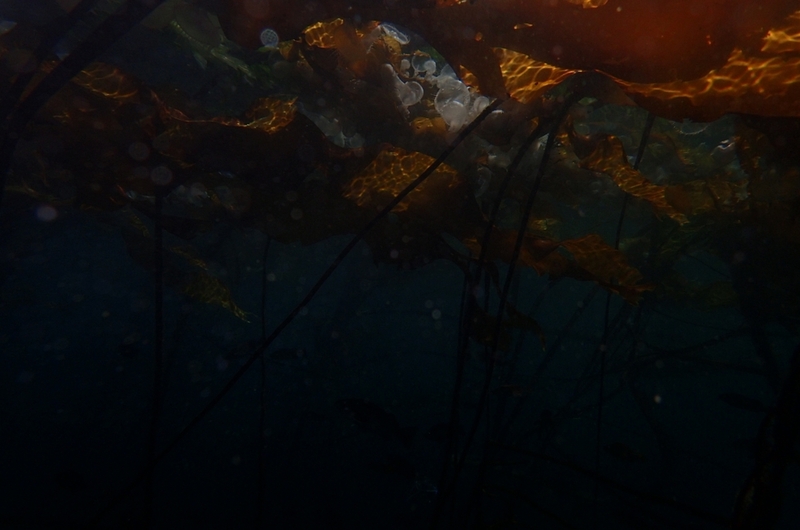 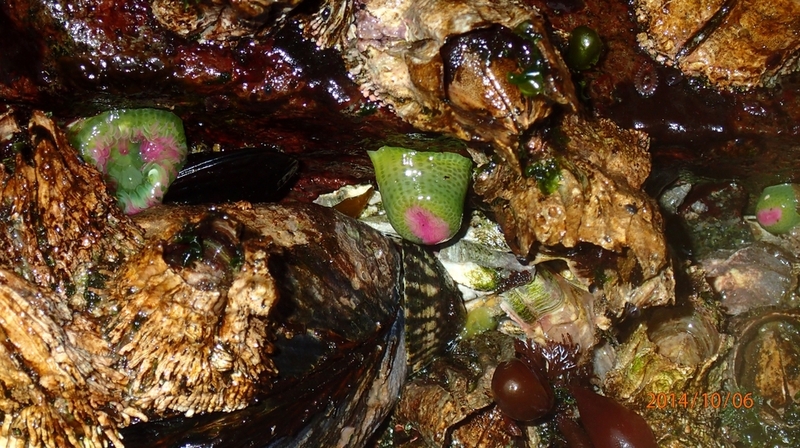 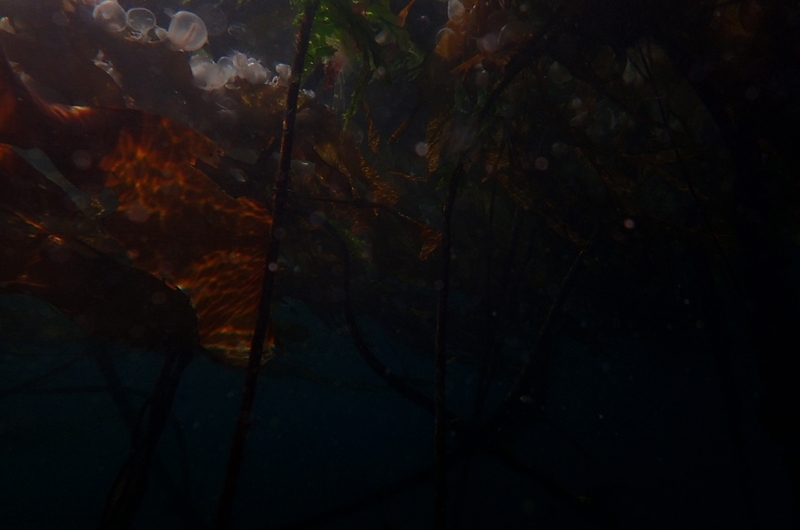 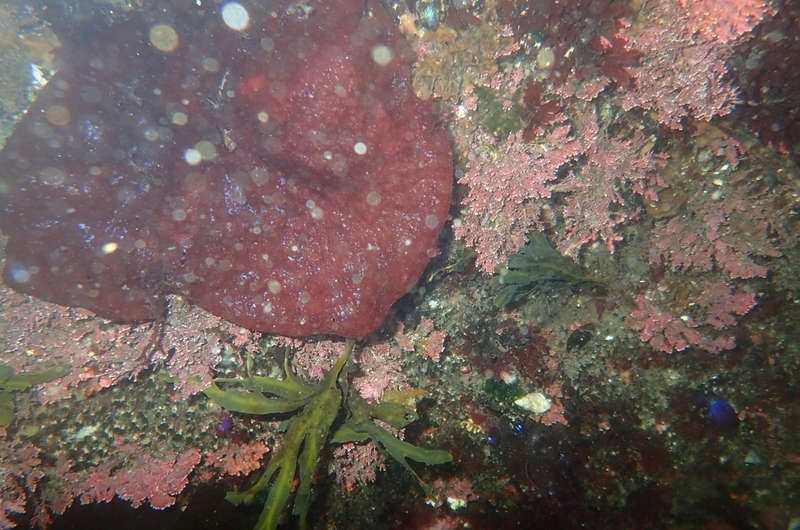 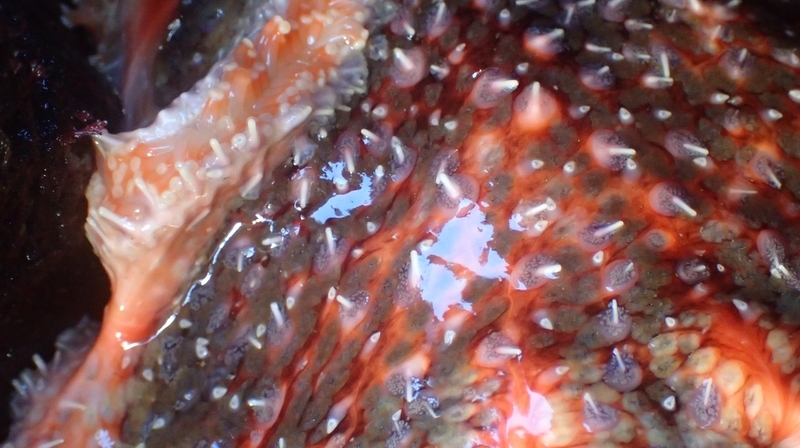 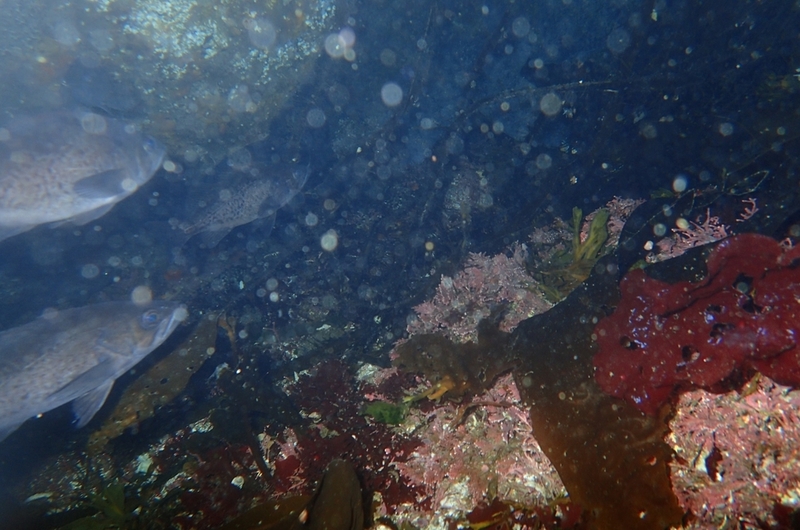 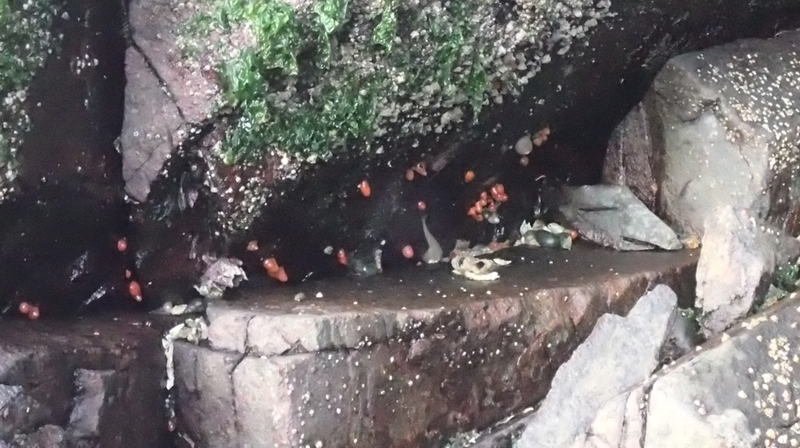 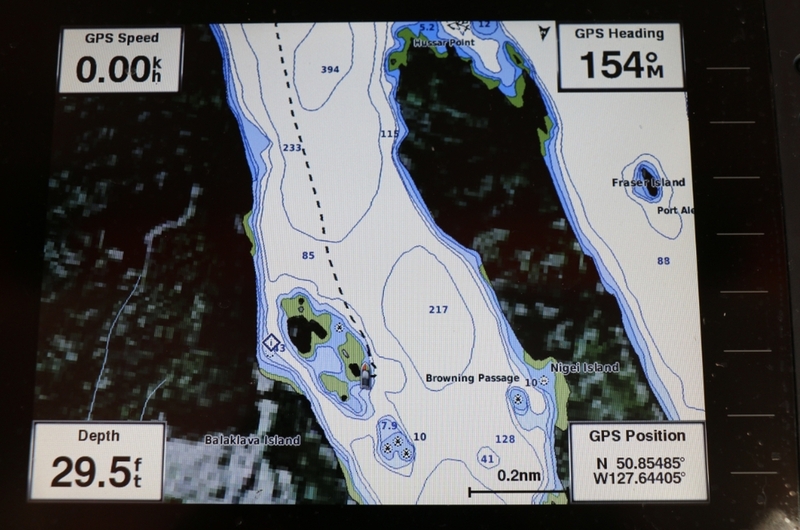 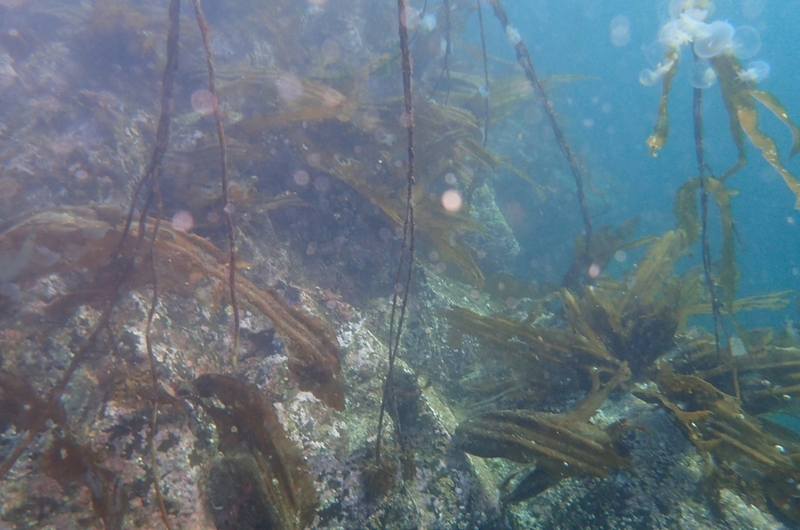 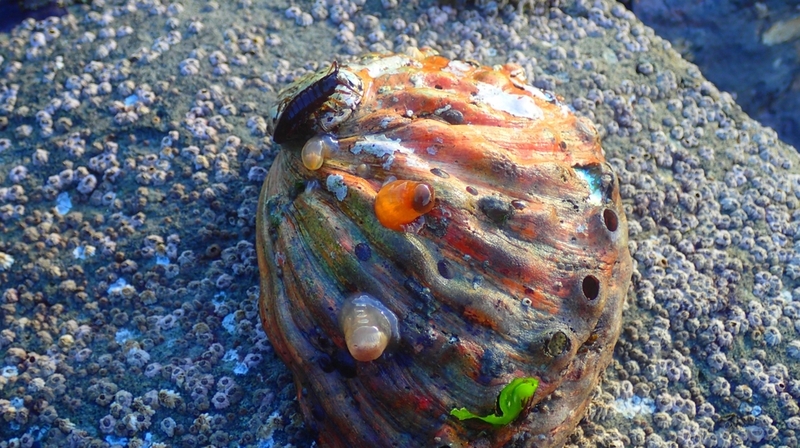 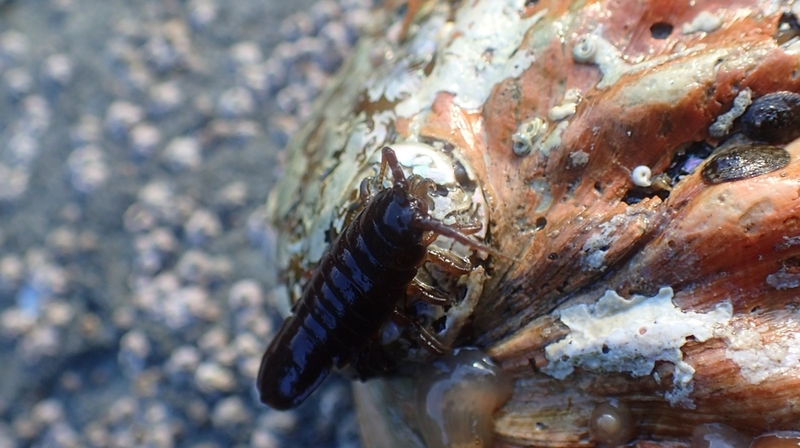 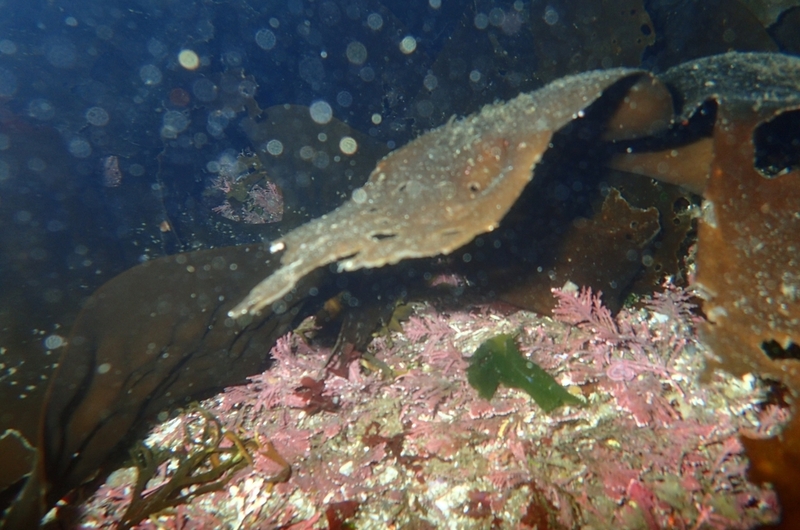 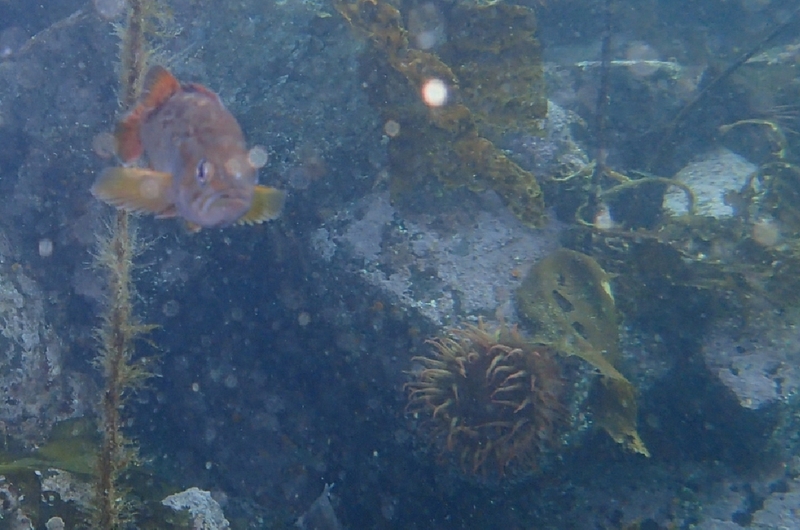 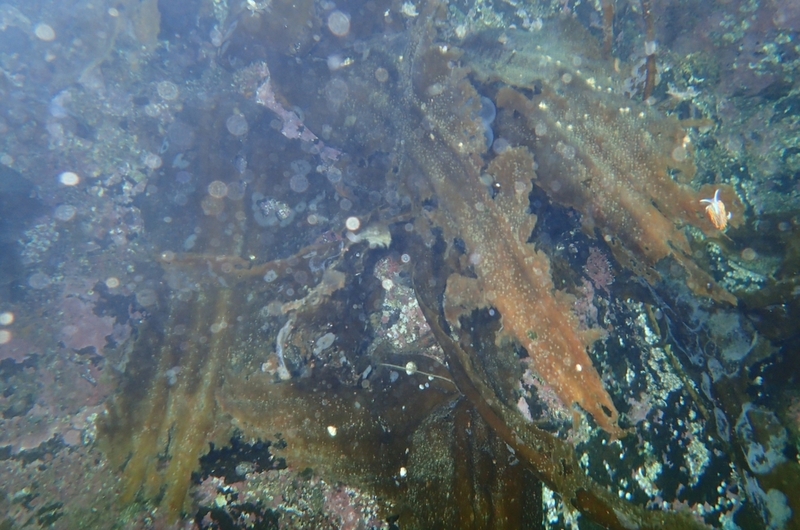 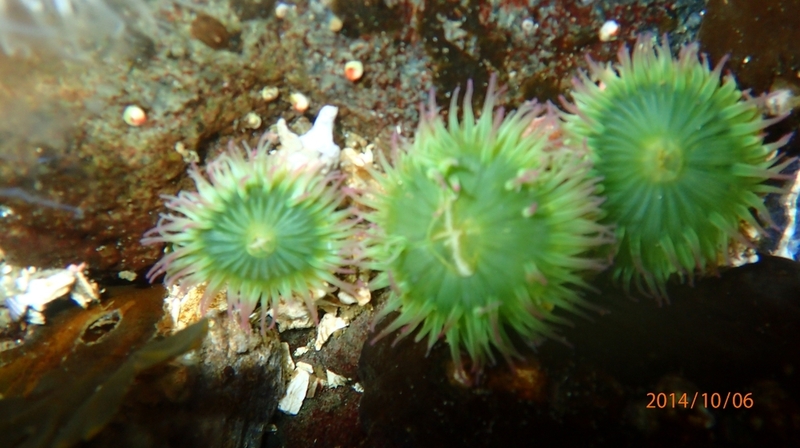 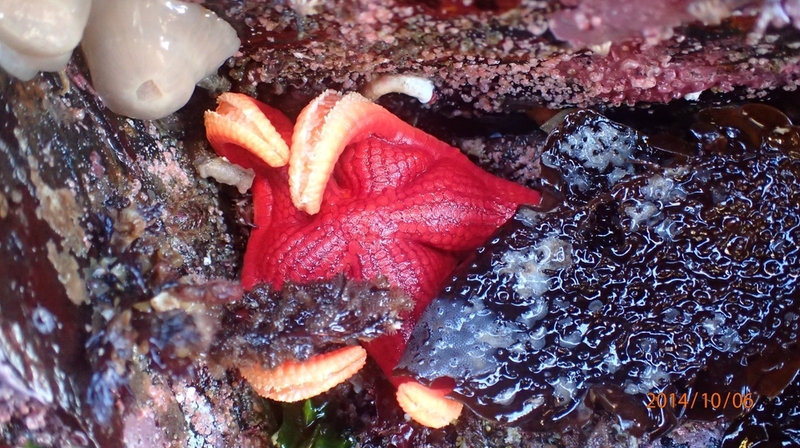 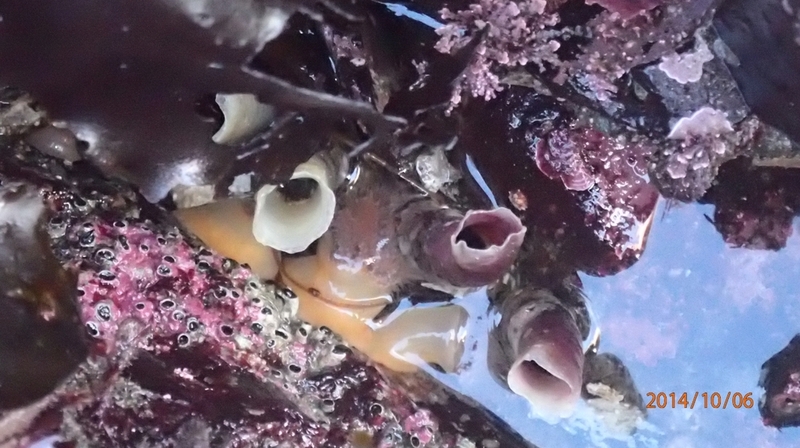 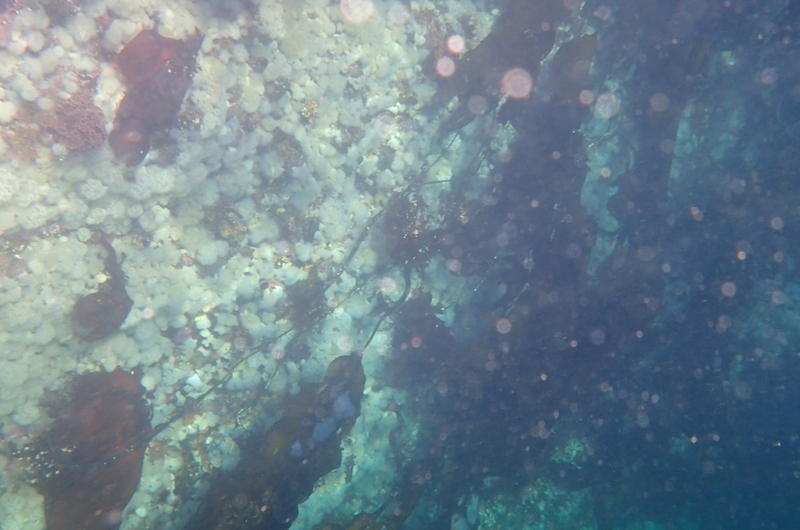 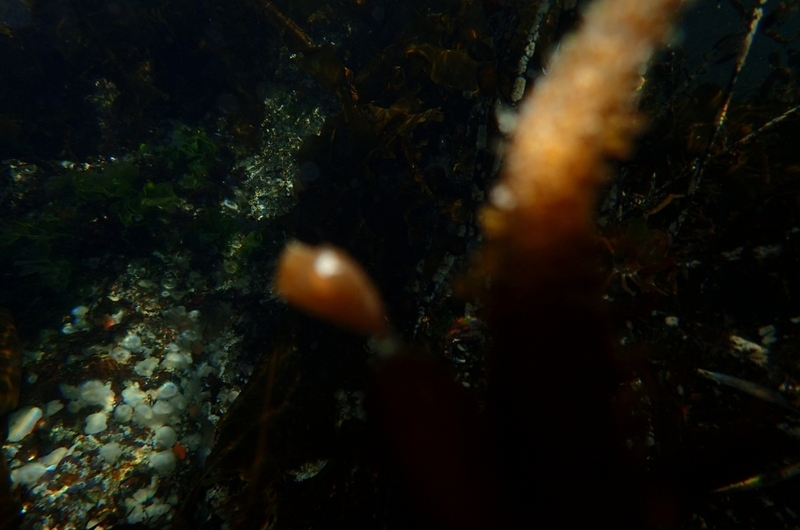 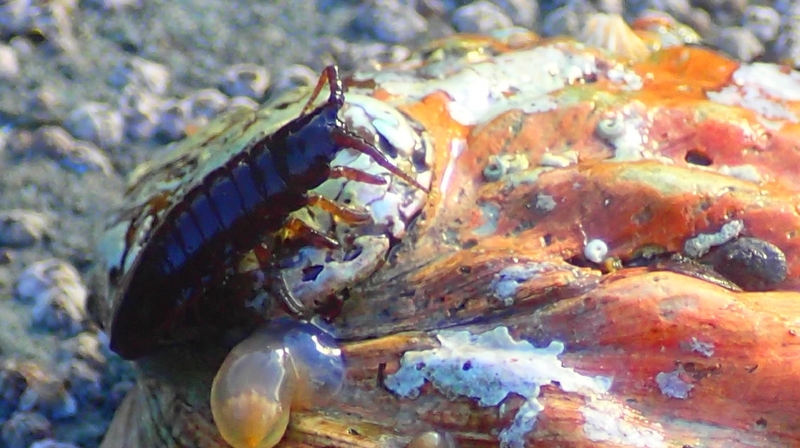 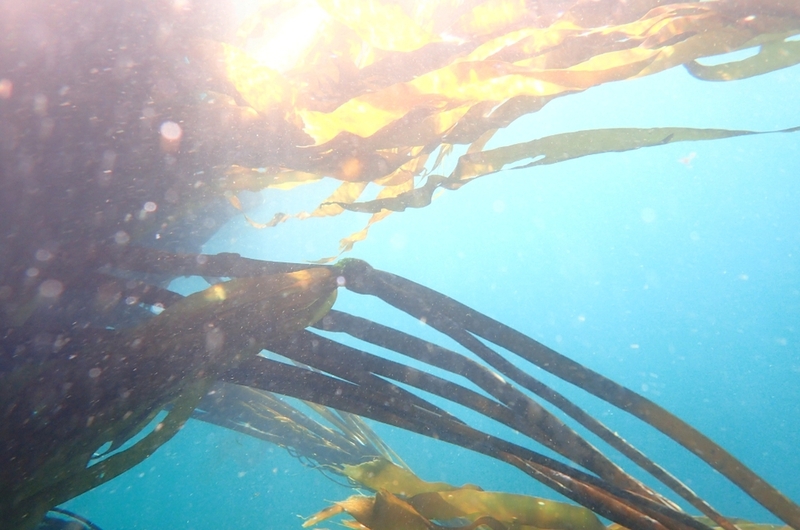 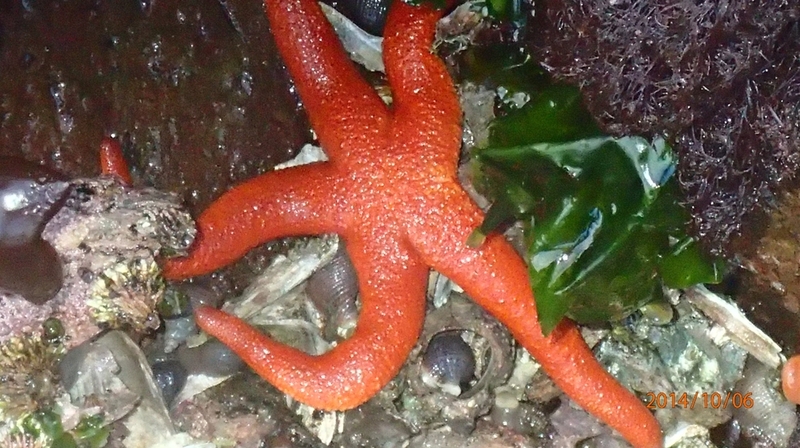 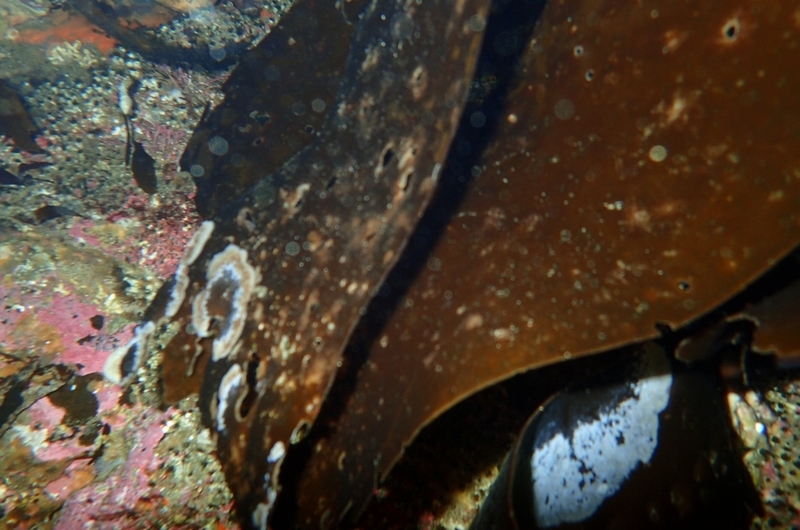 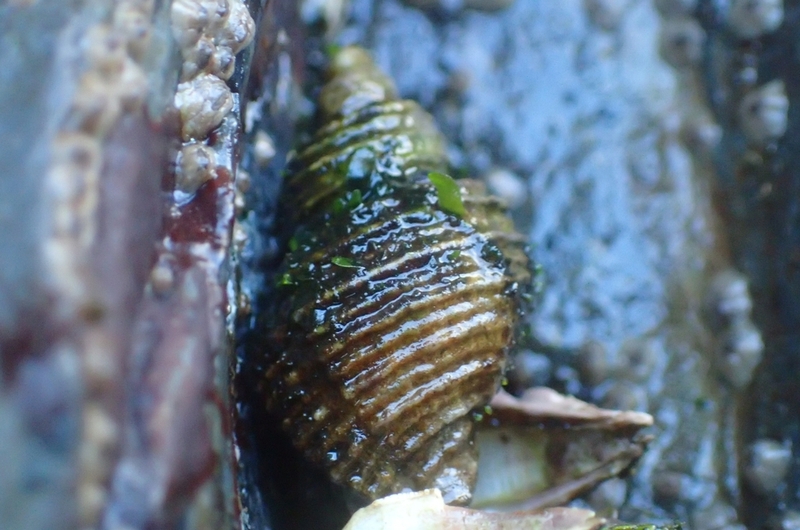 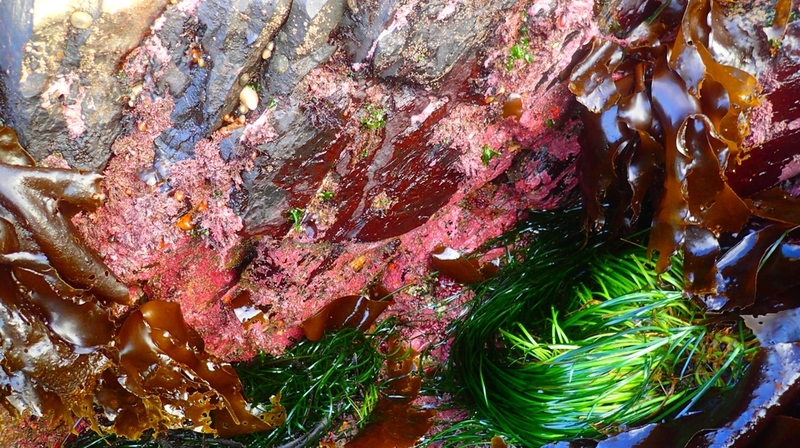 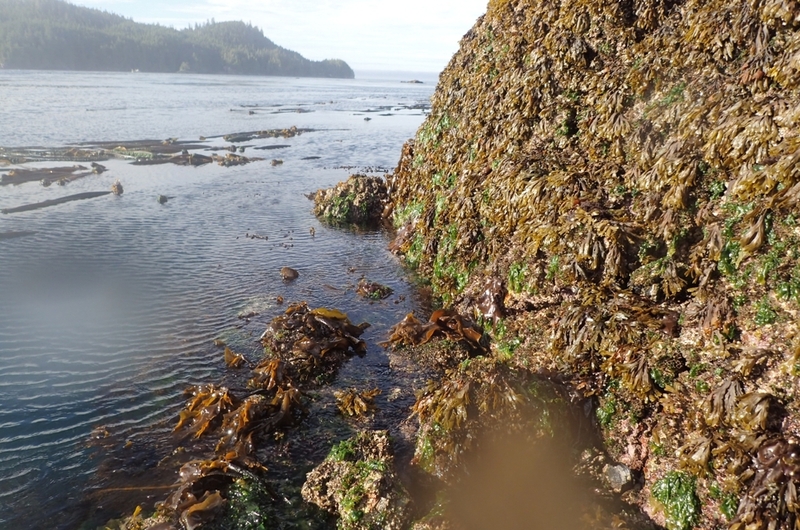 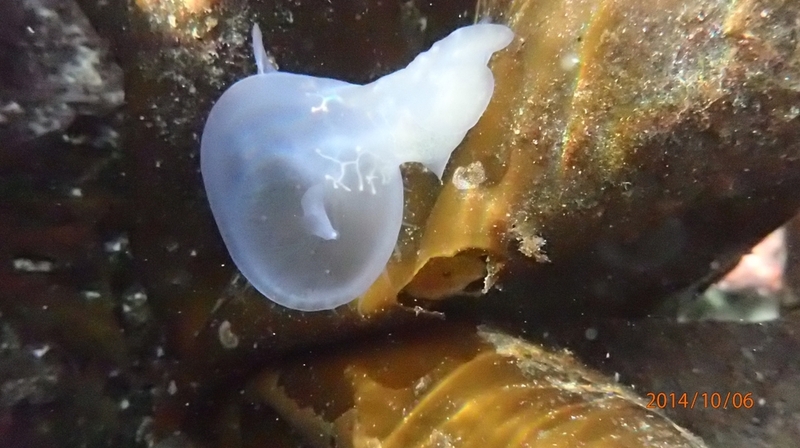 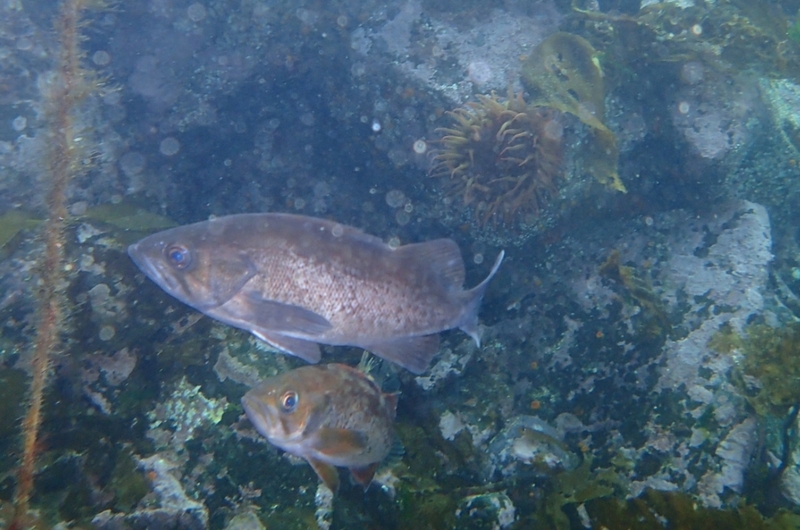 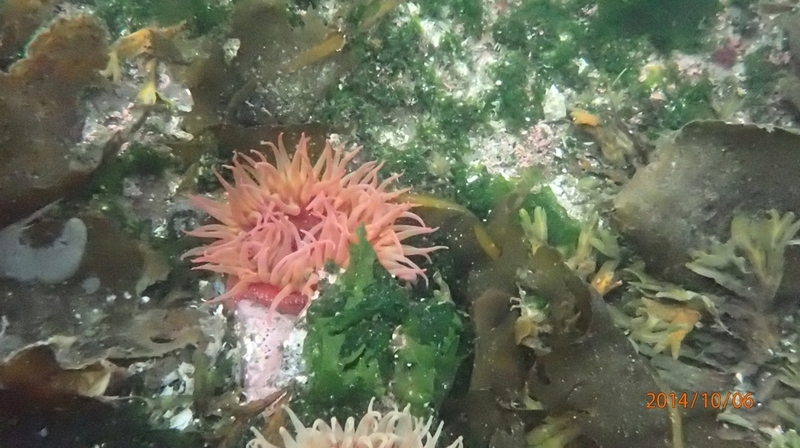 We spent October 6th 2014 yesterday at low tide in the afternoon .Lots of underwater pictures and footage from Browning Pass considered one the top ten dive destinations .Remember we use microscopic setting daily and color enhancement in the cameras and sometimes it works and sometimes its strange . 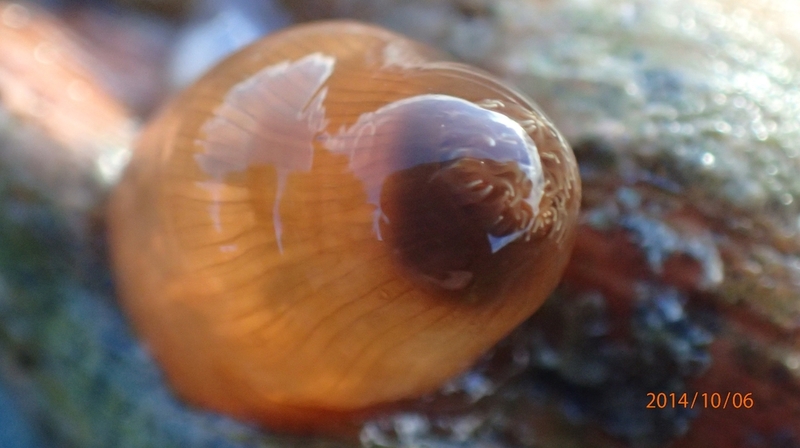 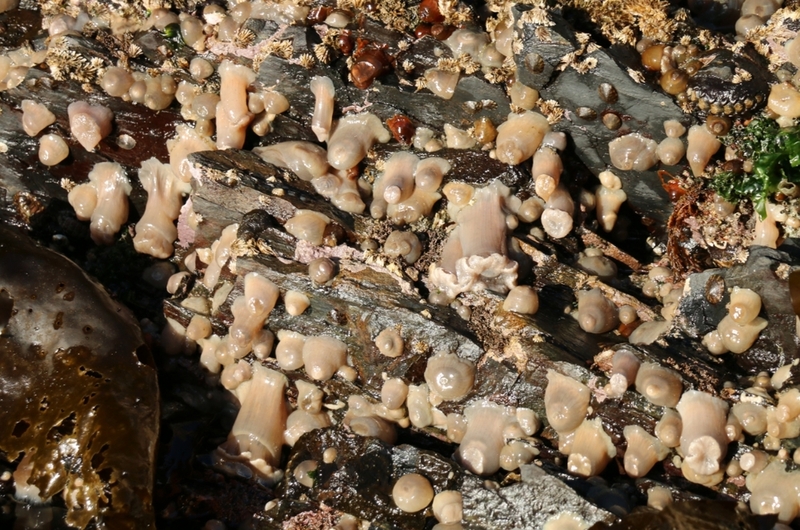 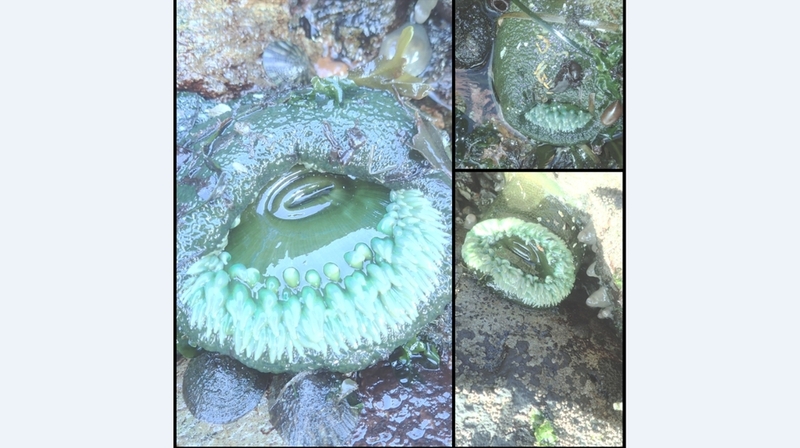 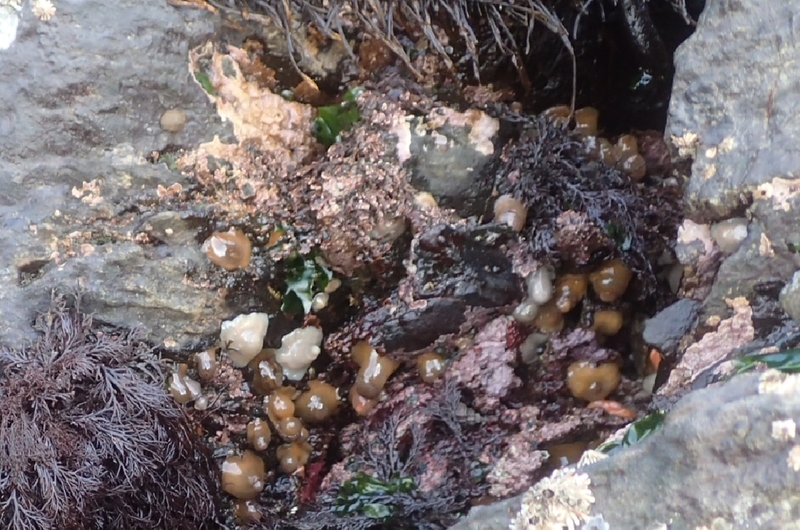 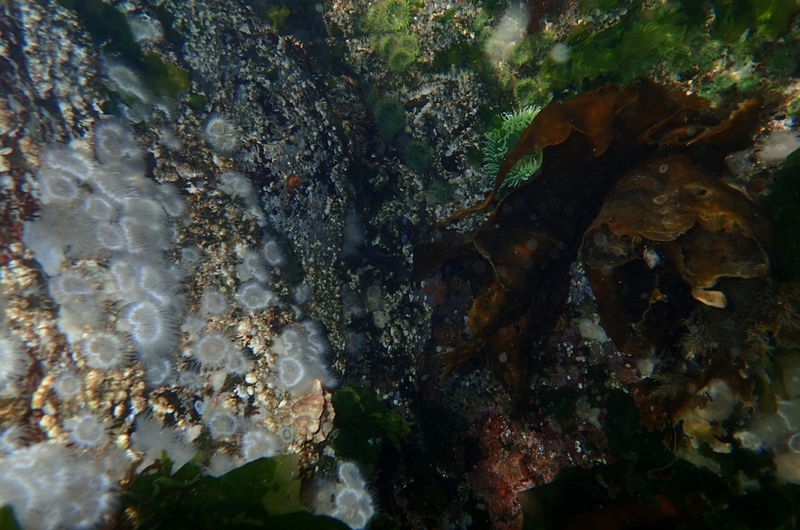 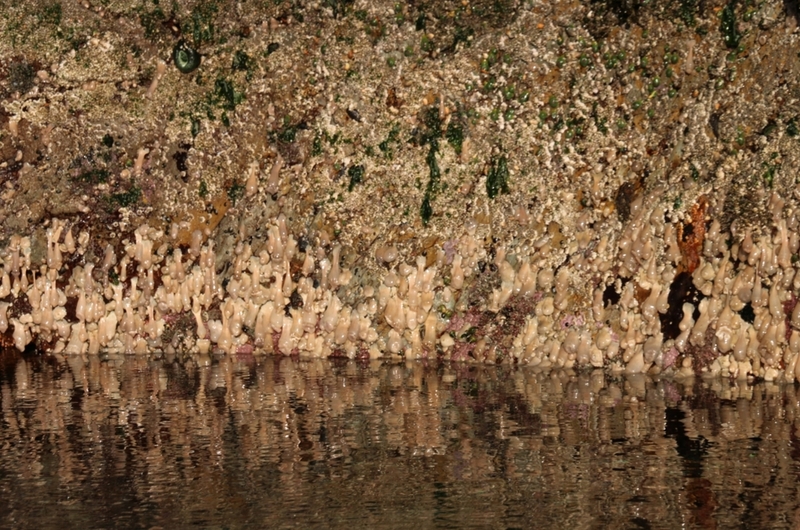 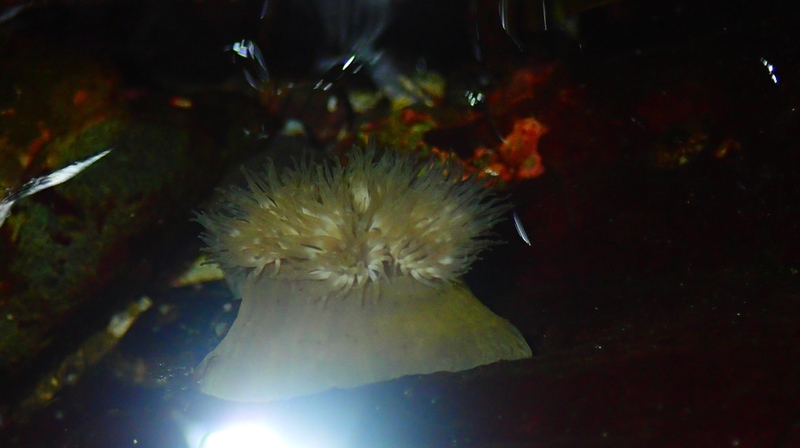 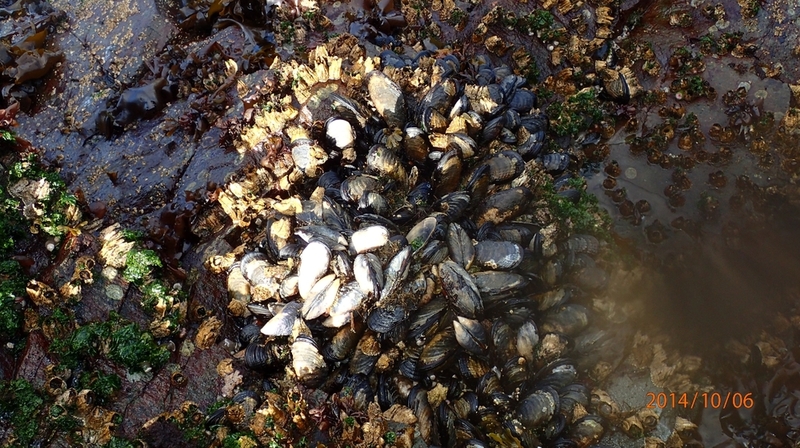 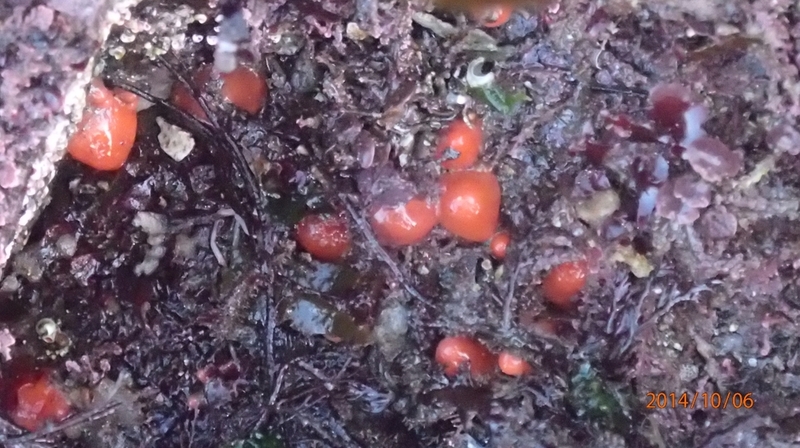 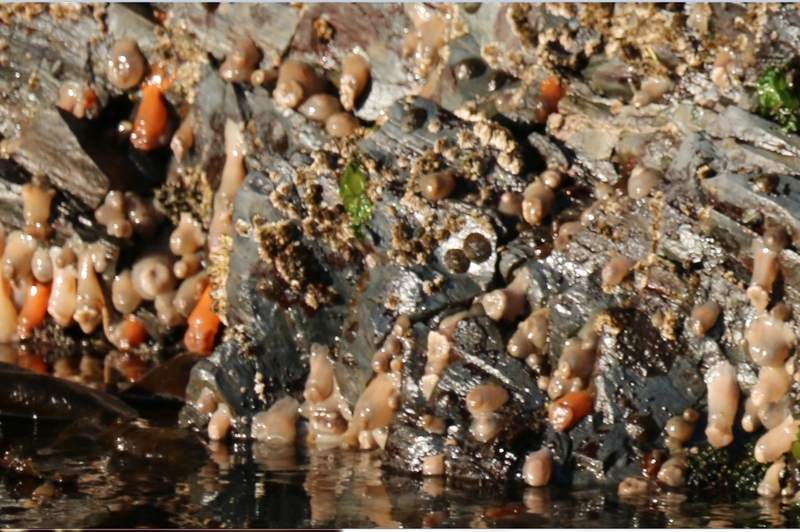 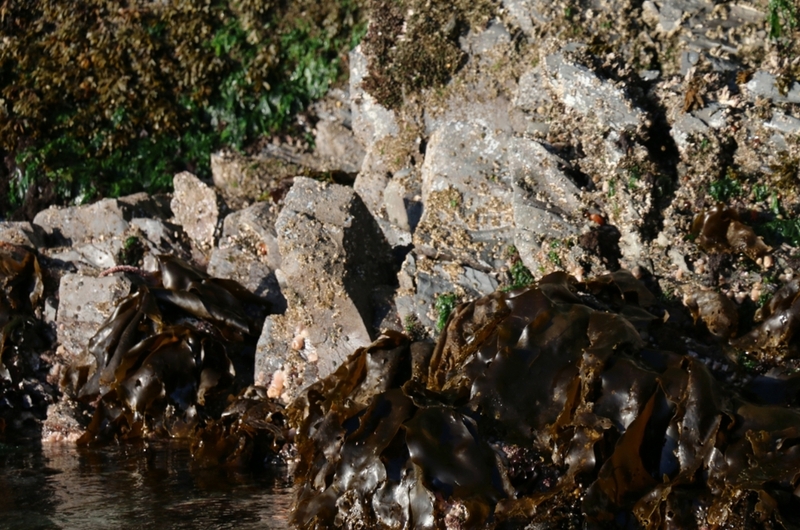 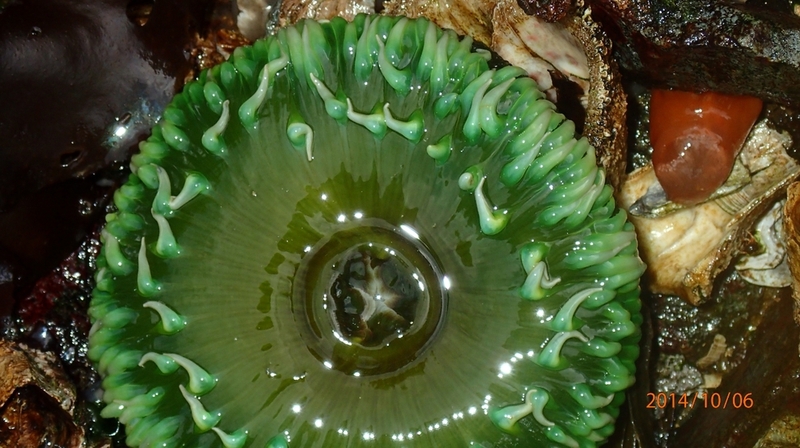 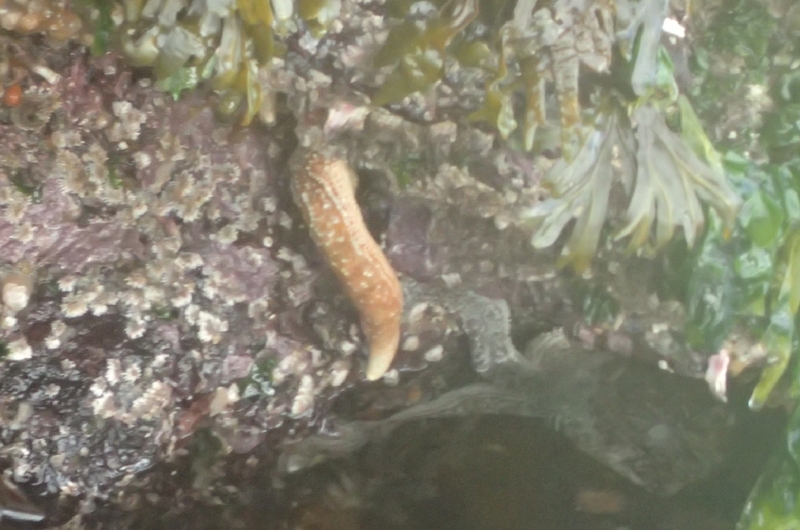 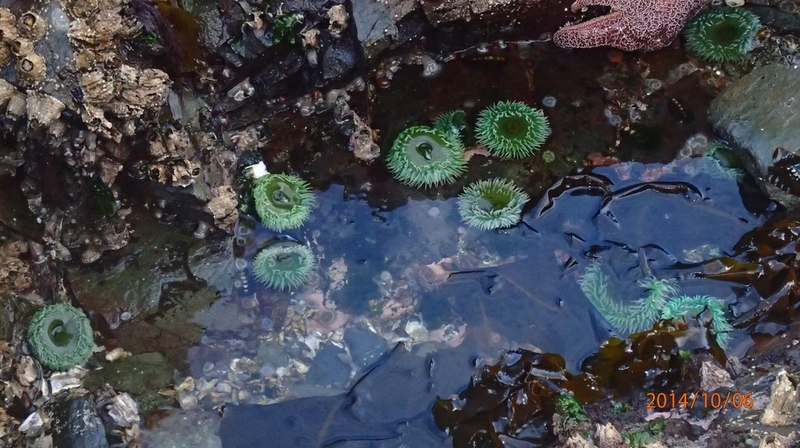 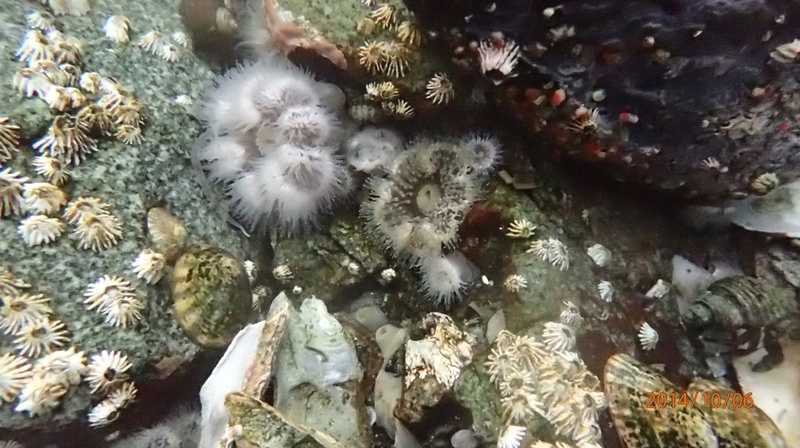 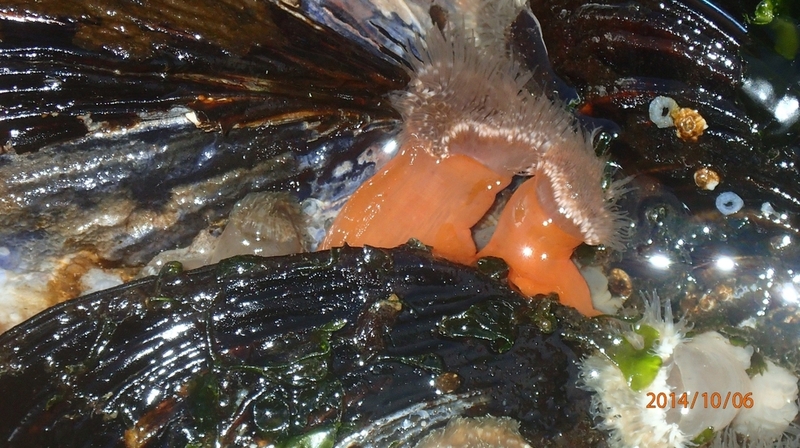 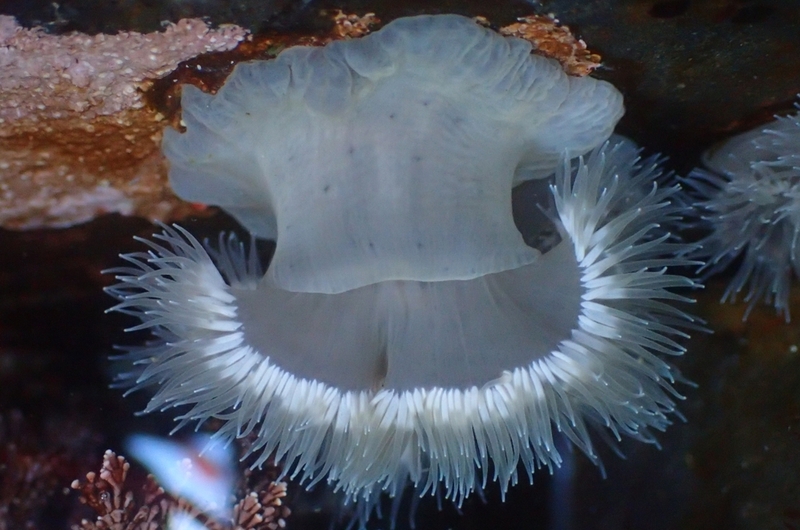 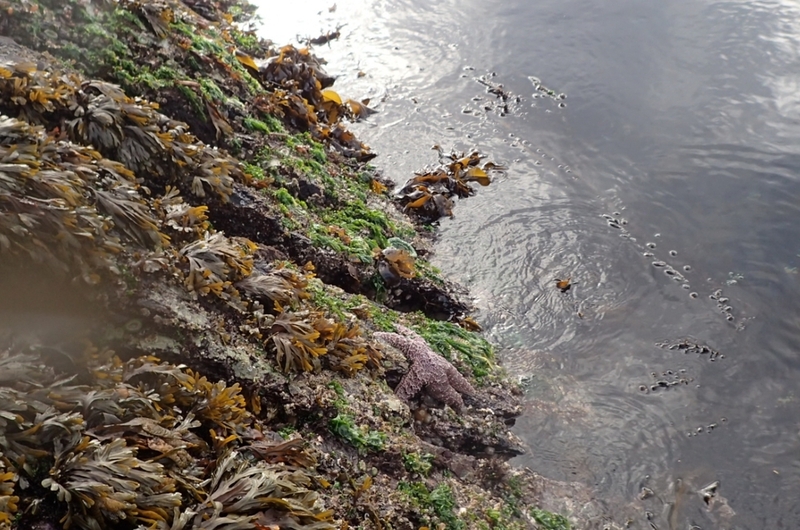 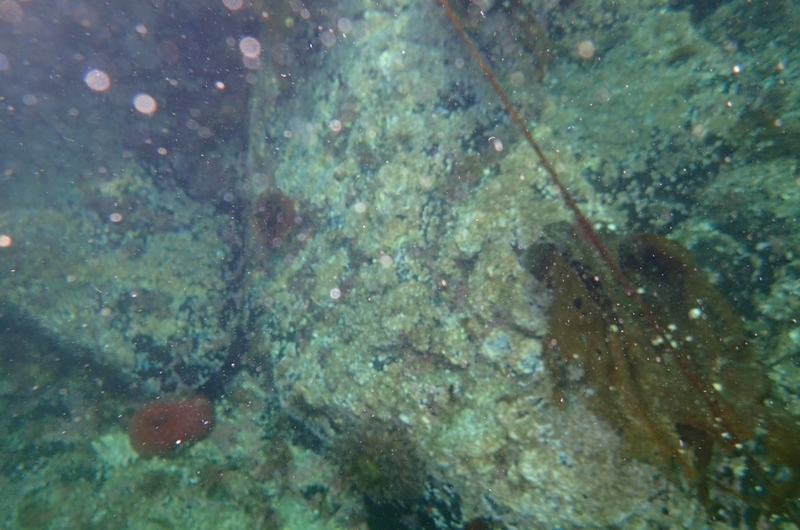 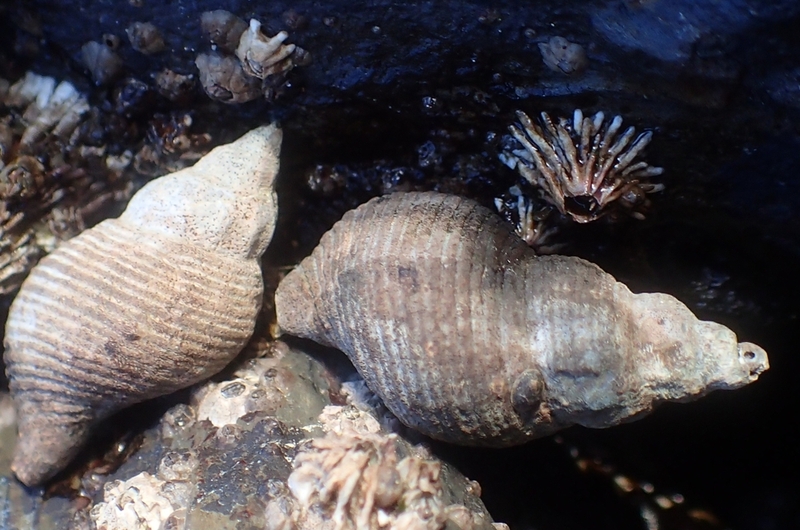 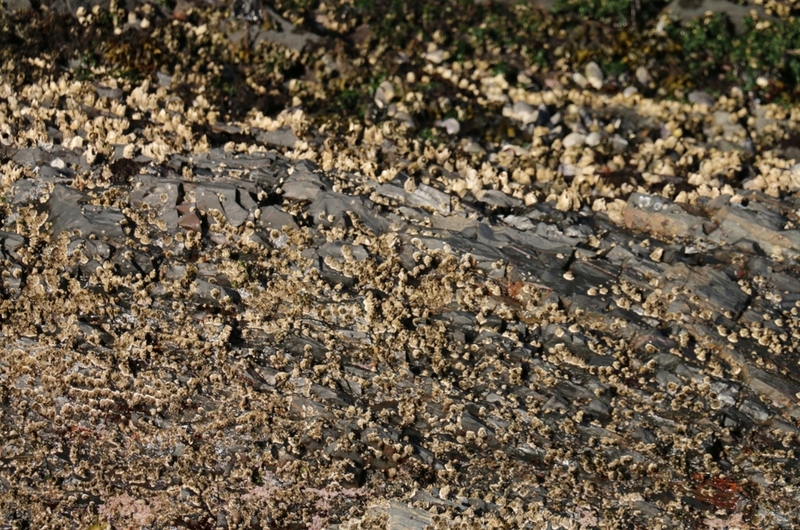 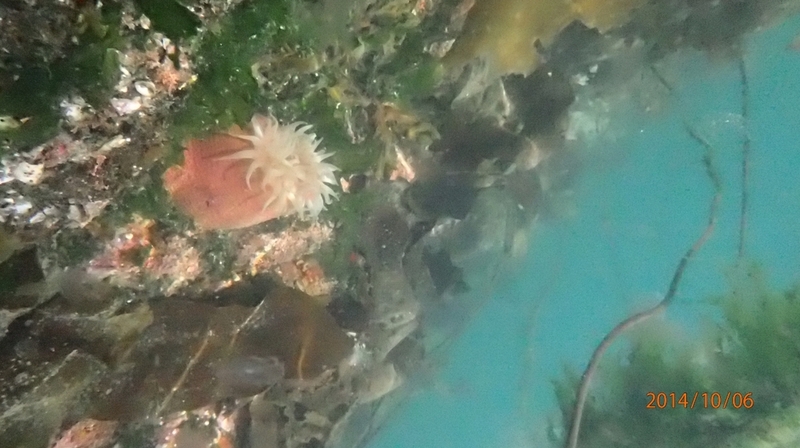 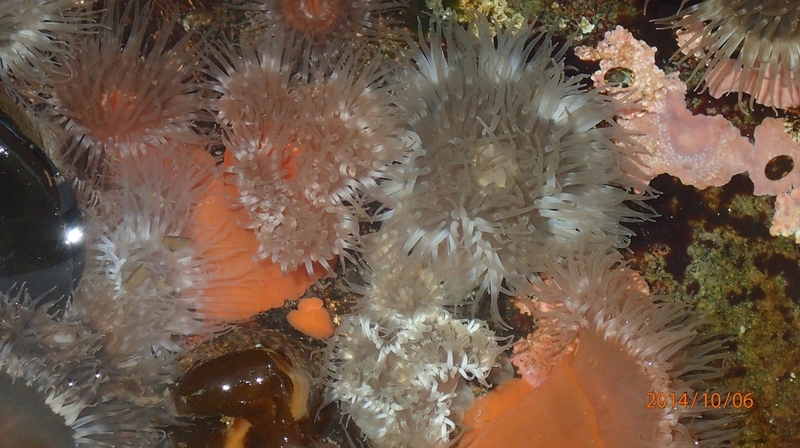 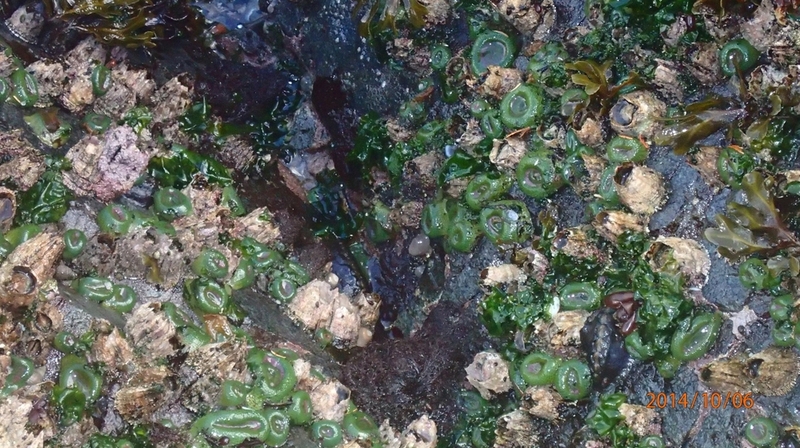 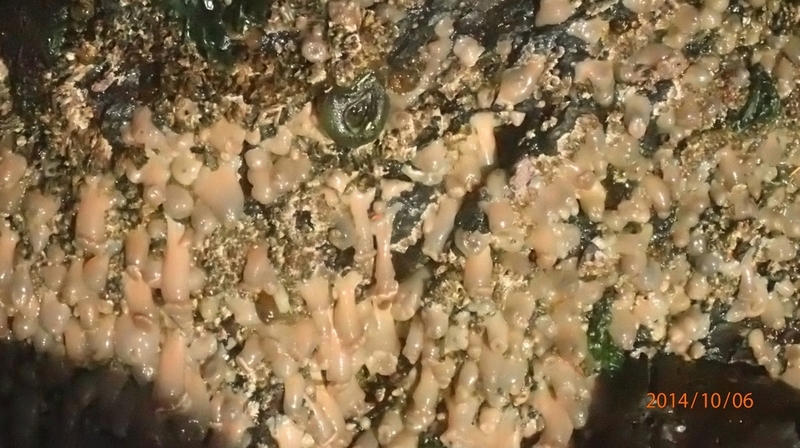 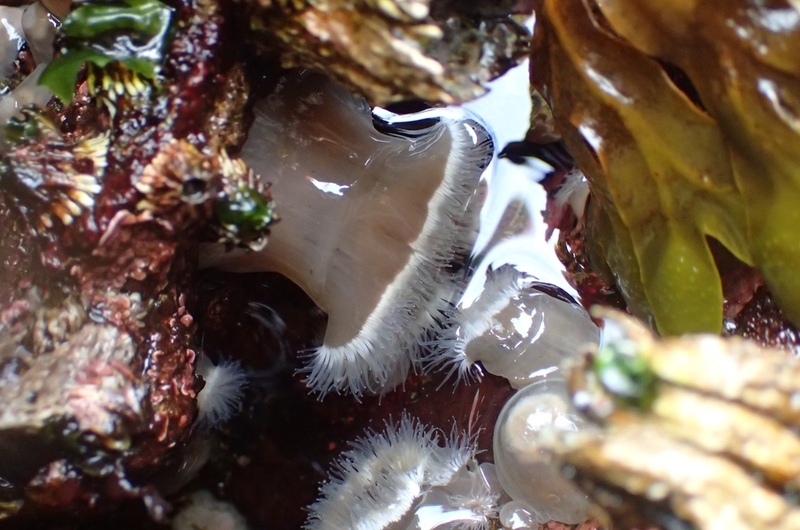 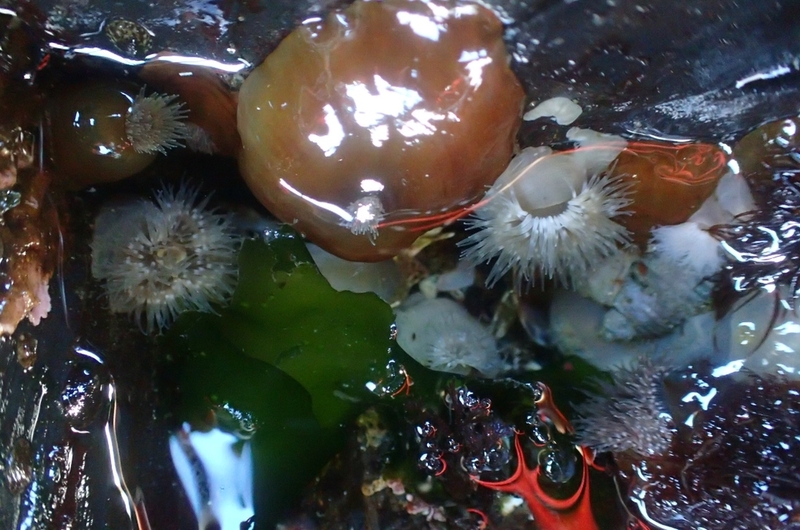 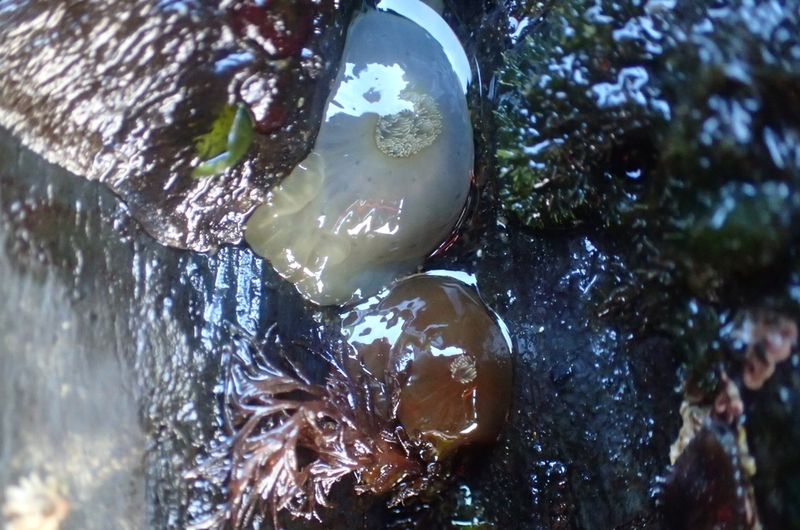 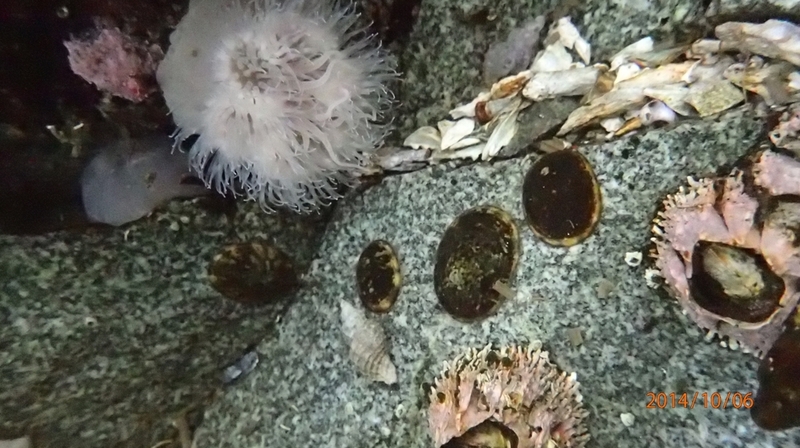 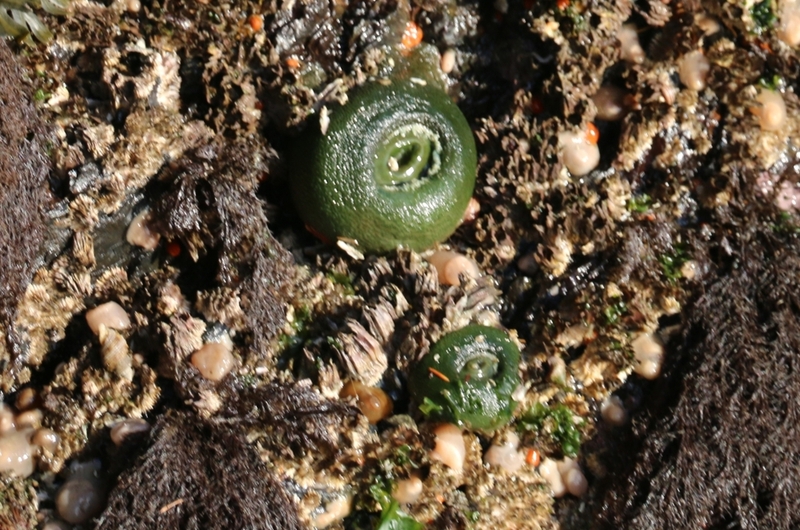 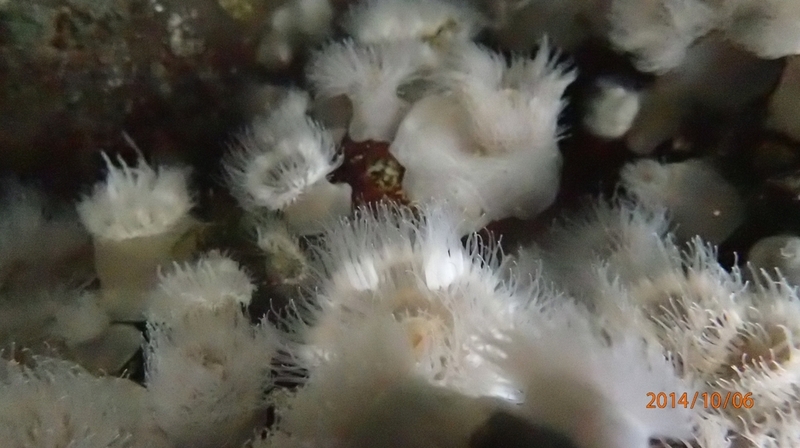 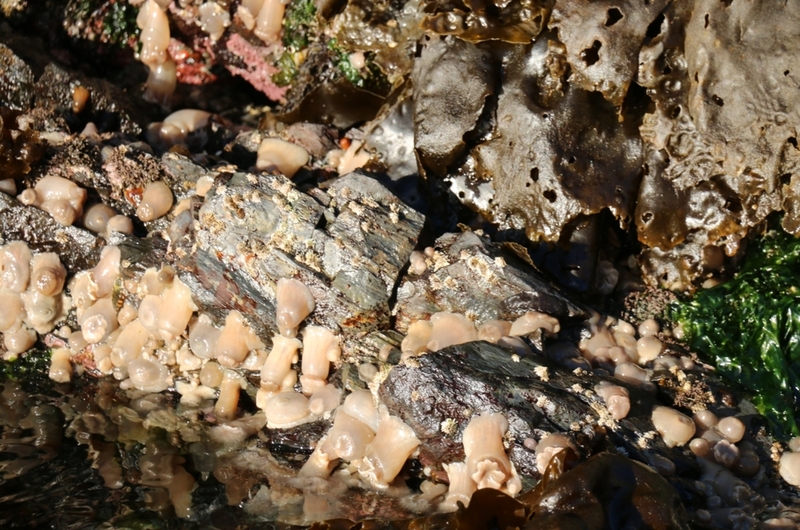 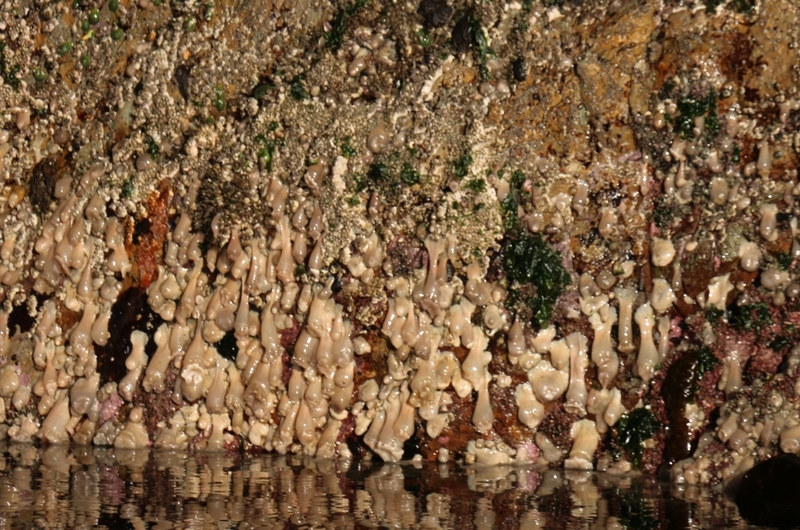 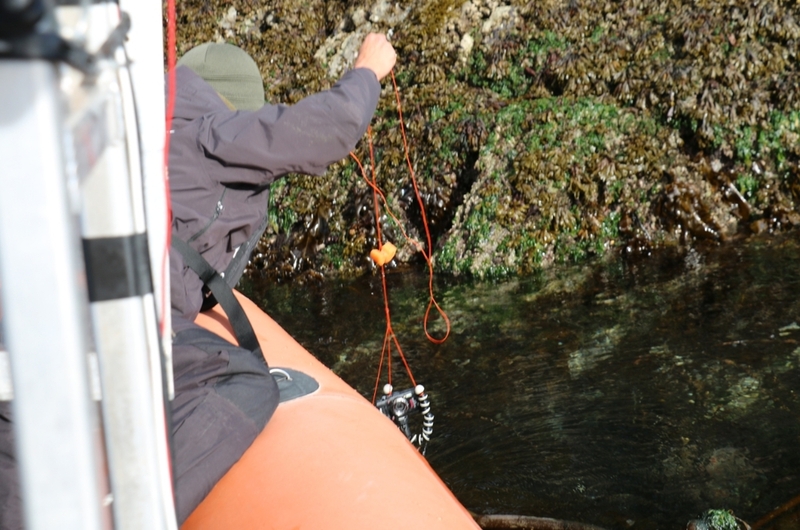 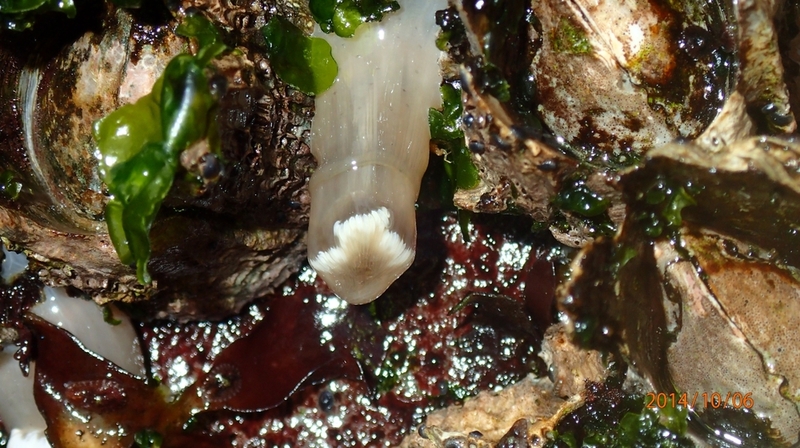 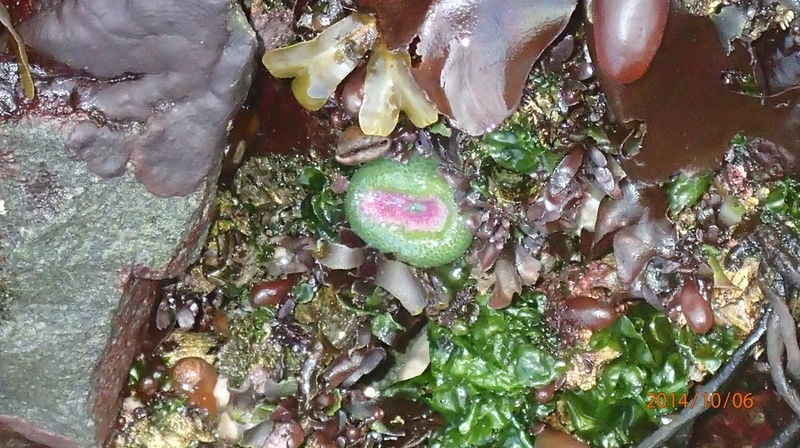 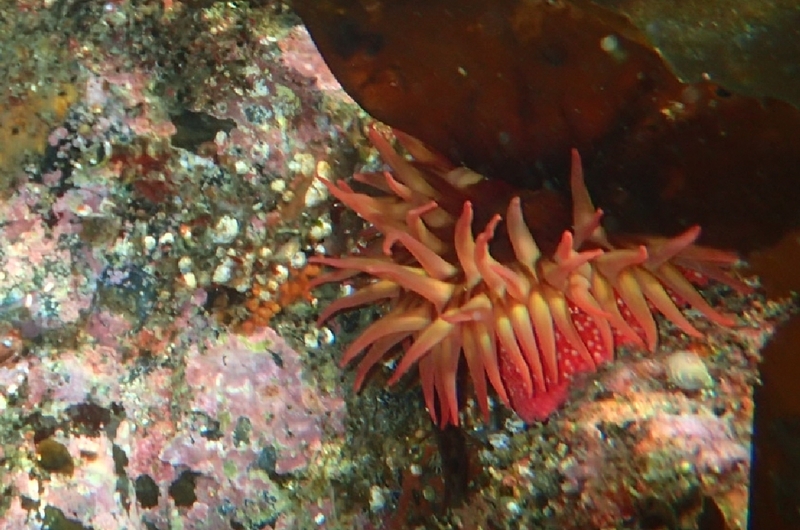 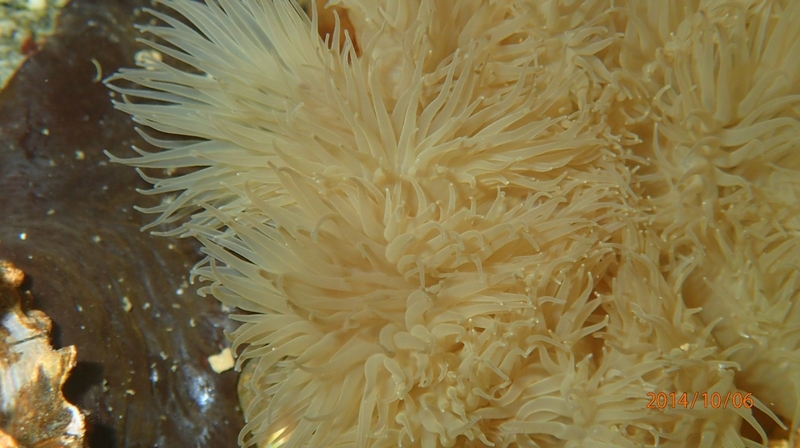 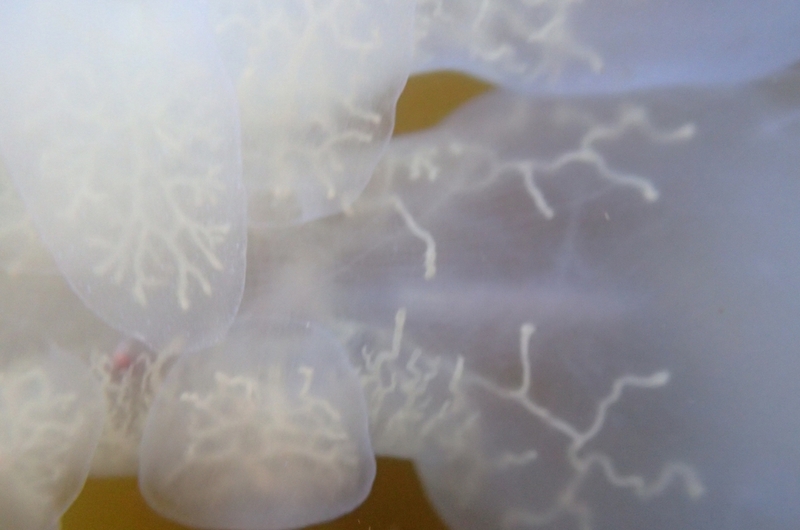 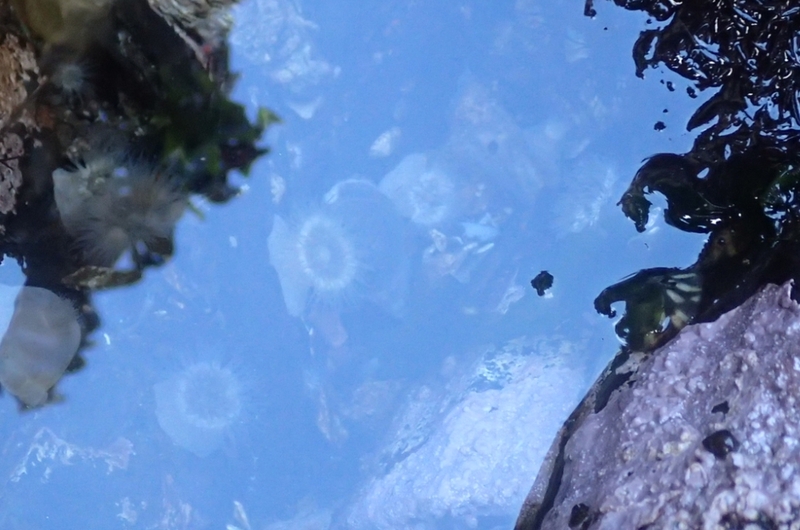 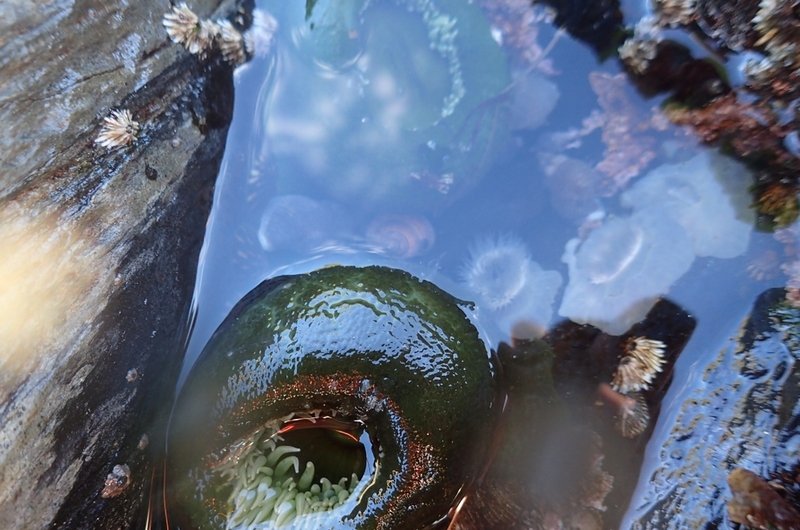 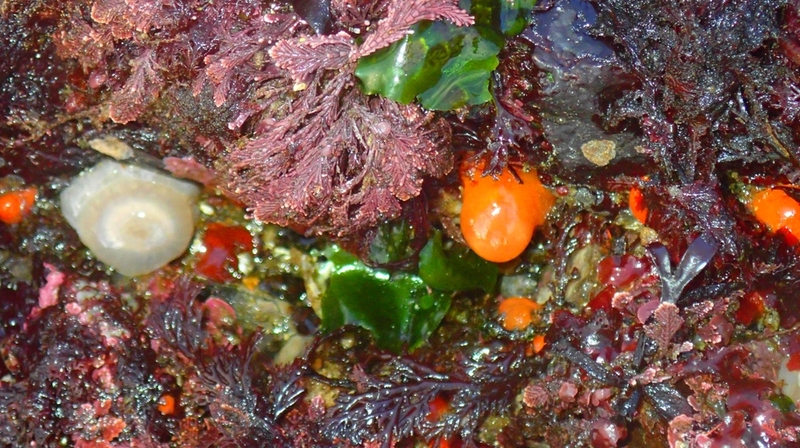 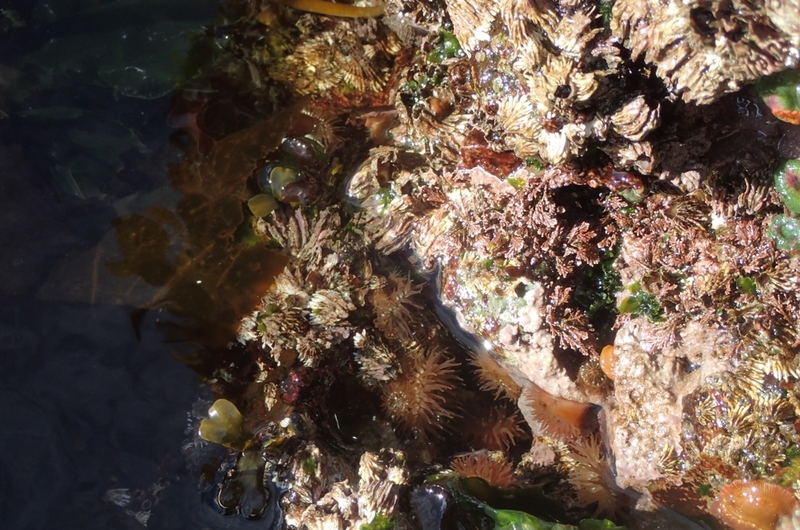 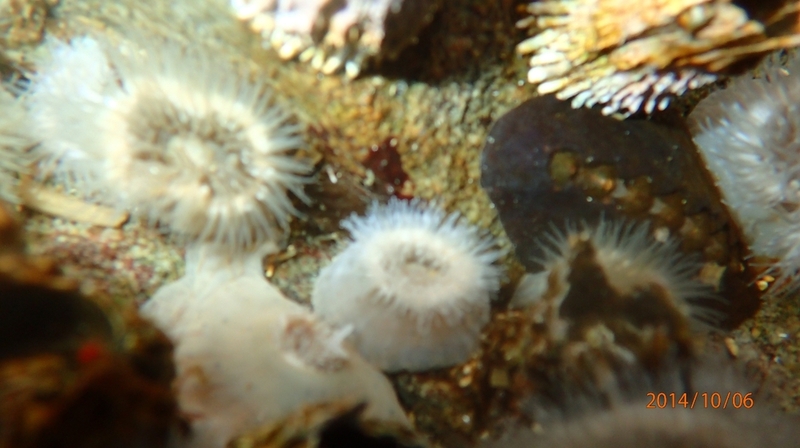 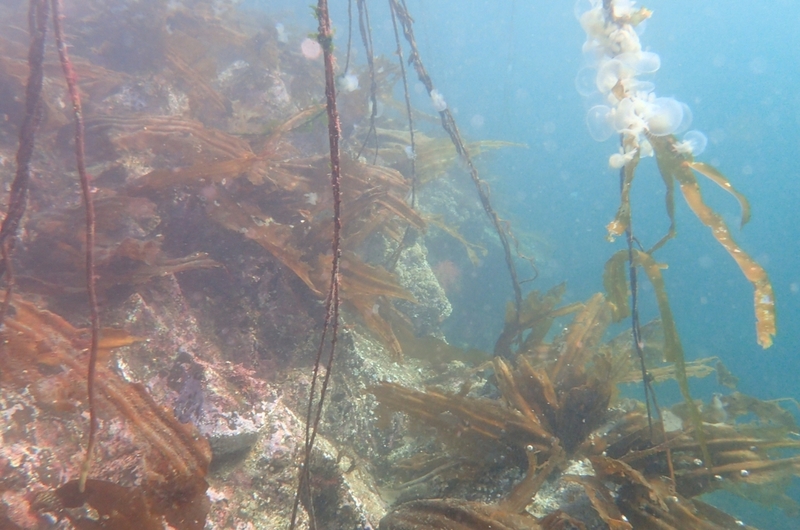 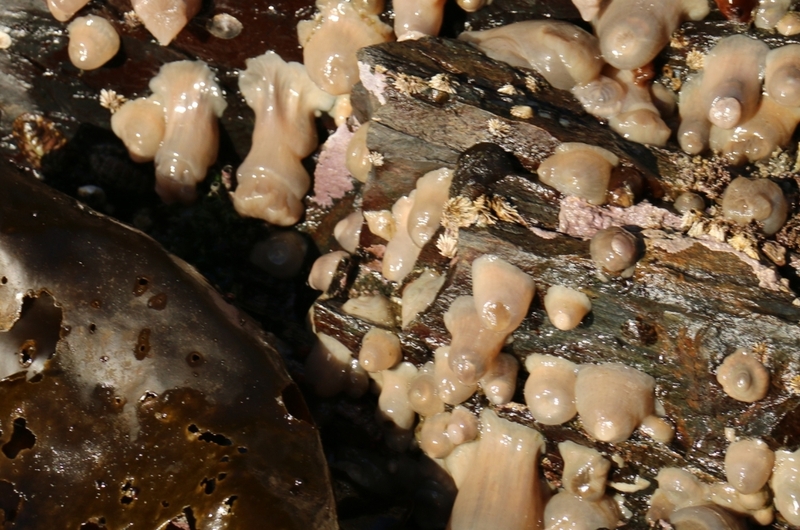 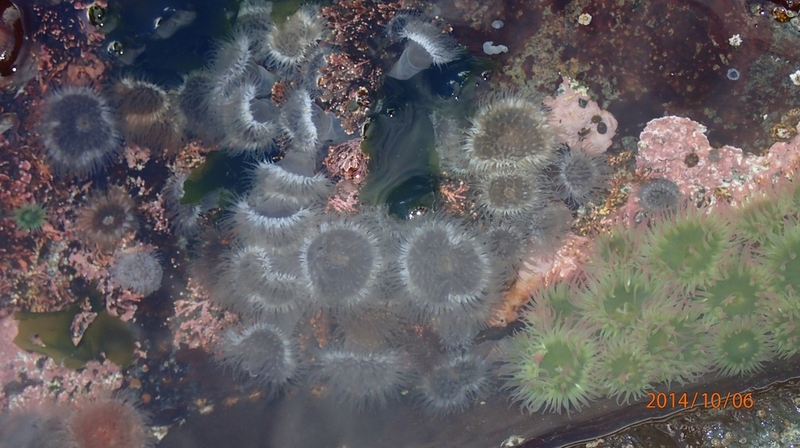 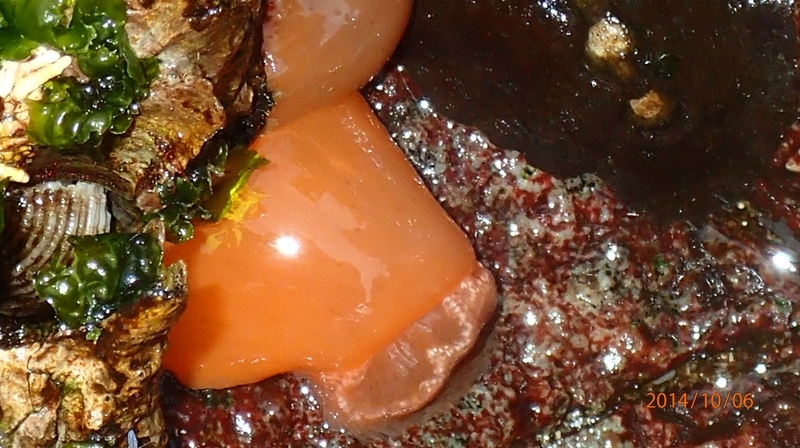 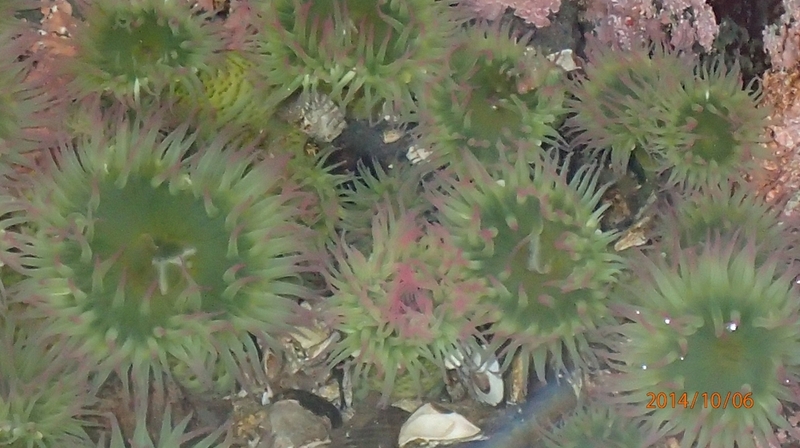 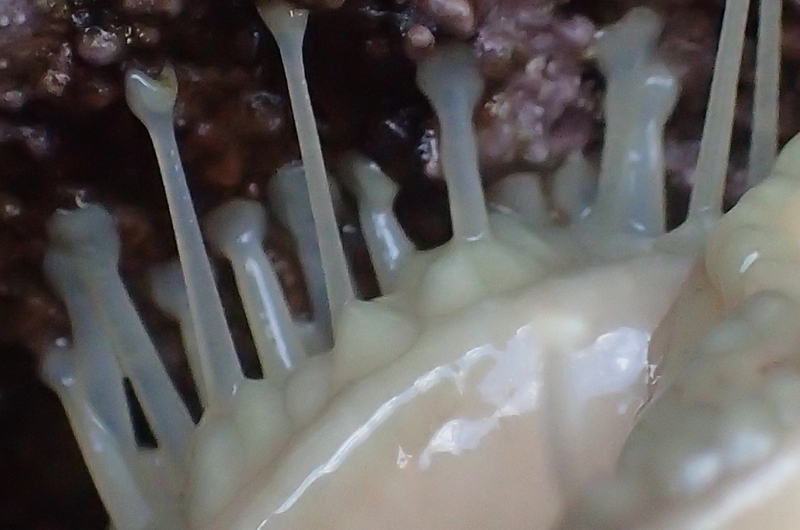 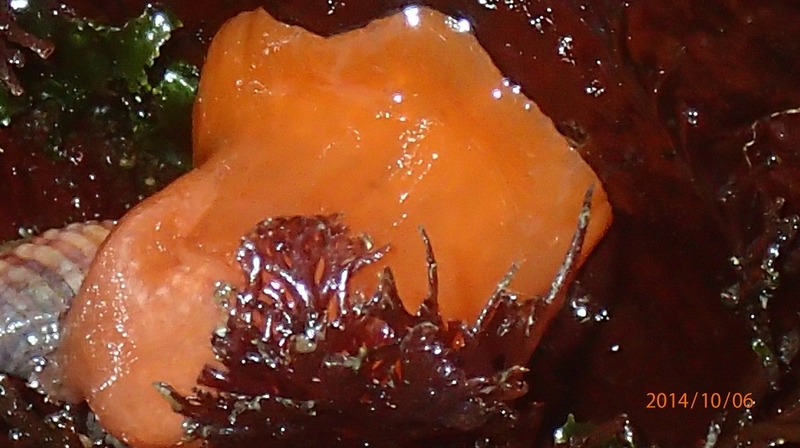 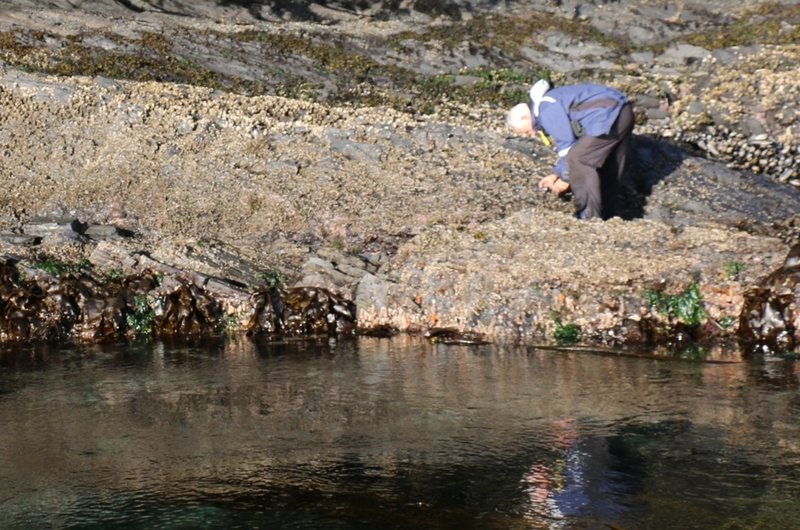 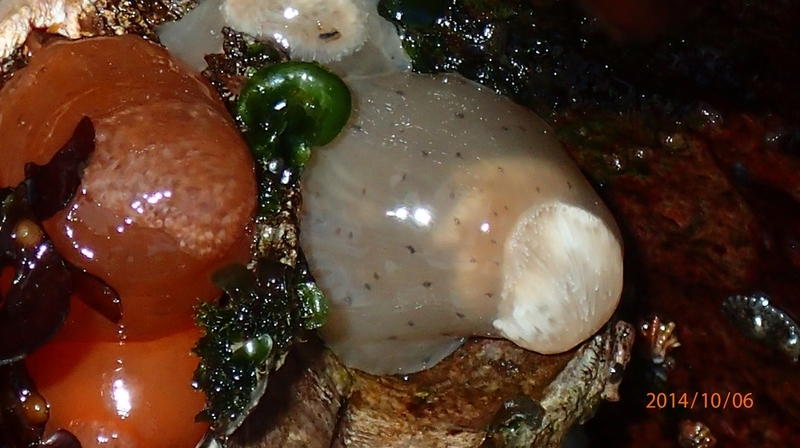 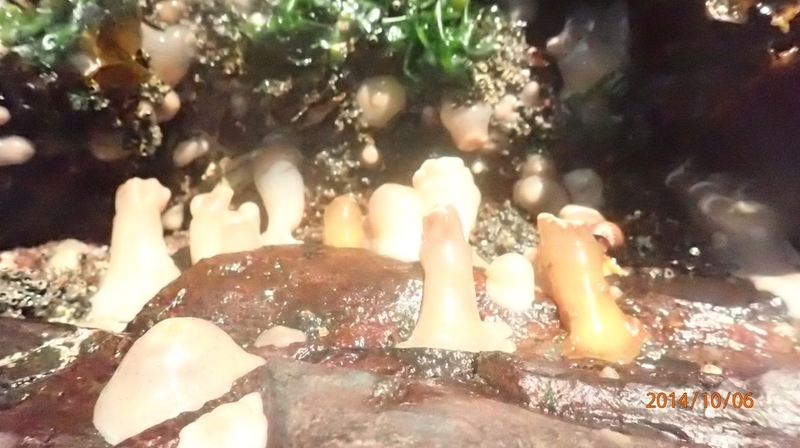 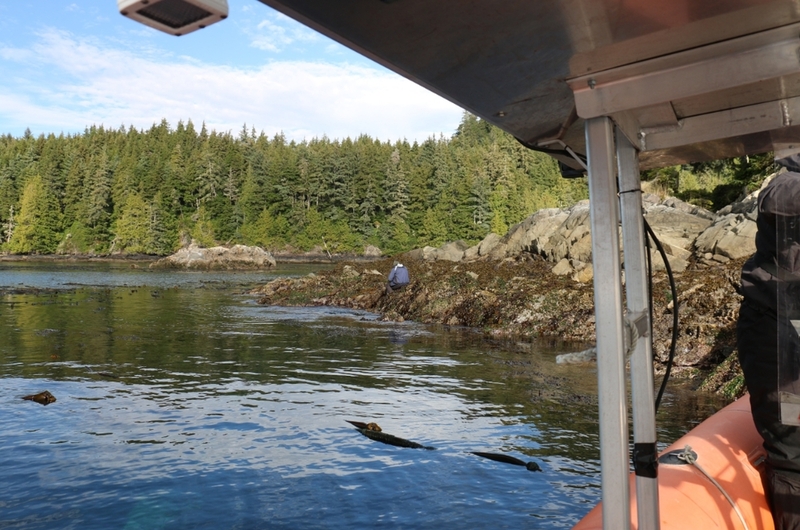 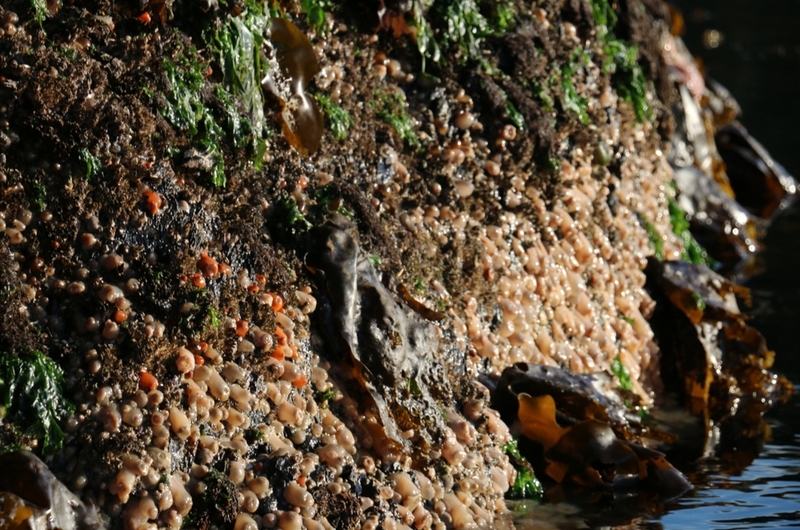 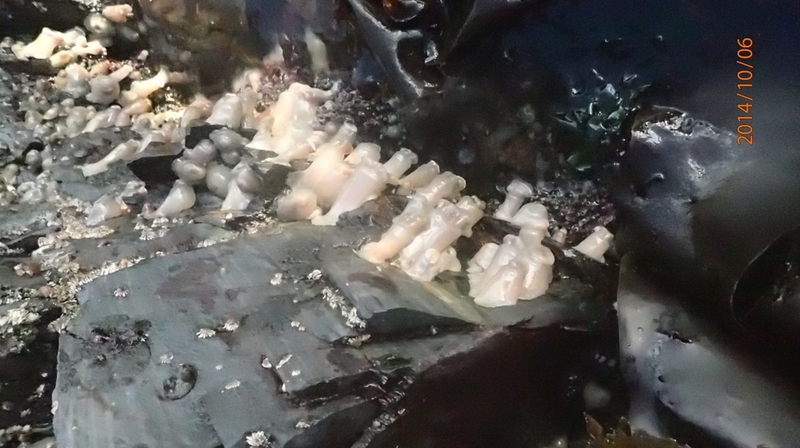 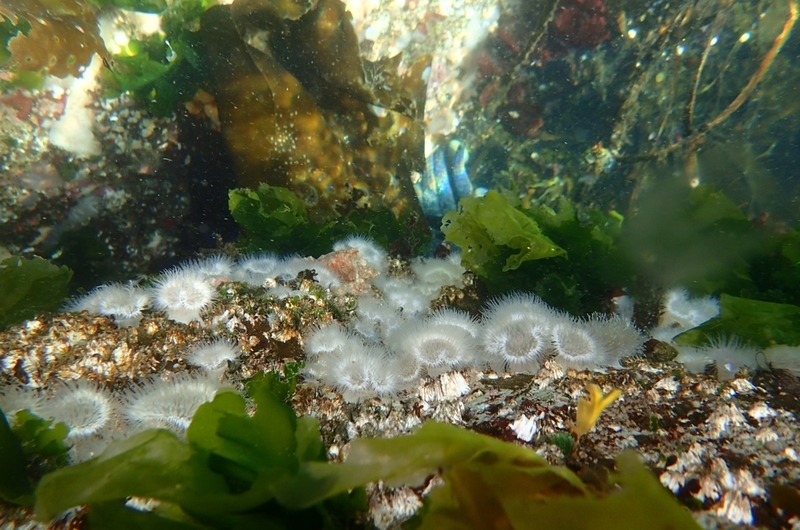 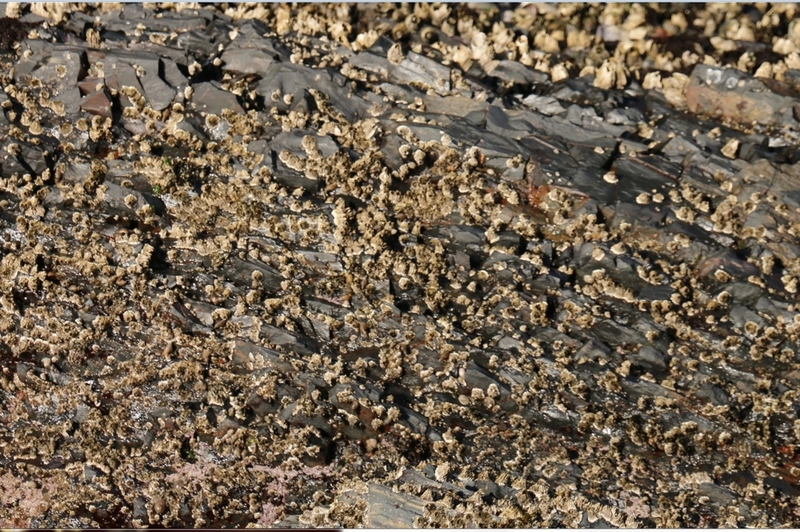 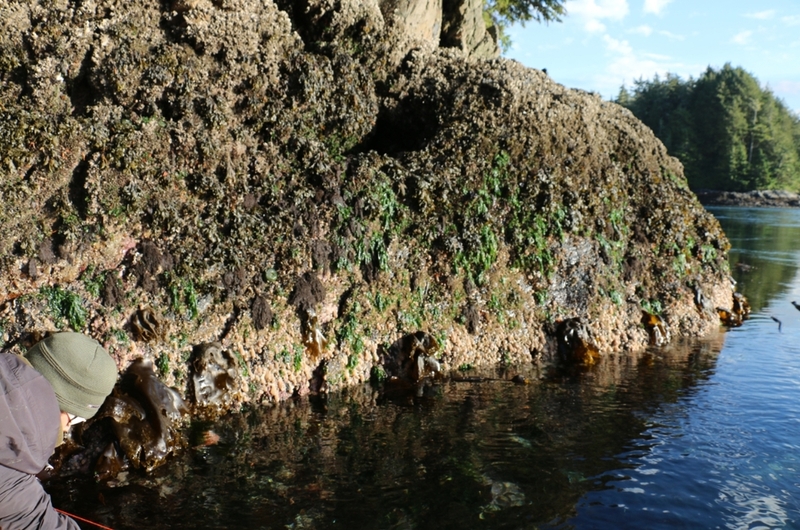 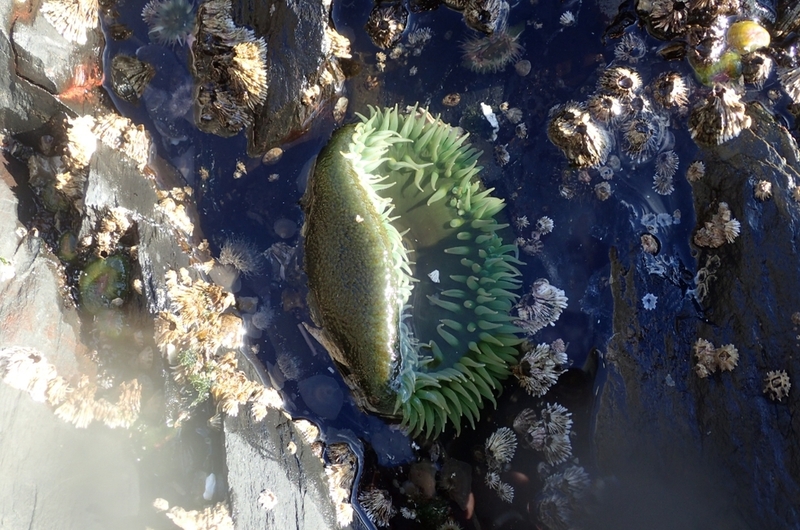 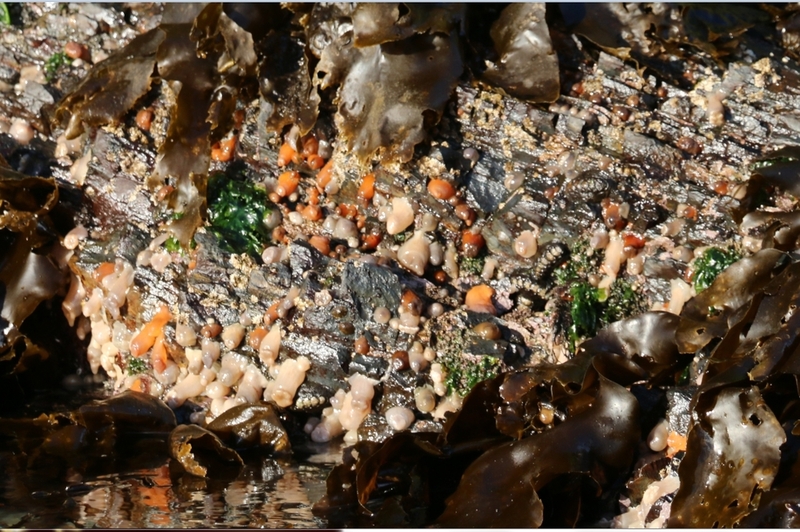 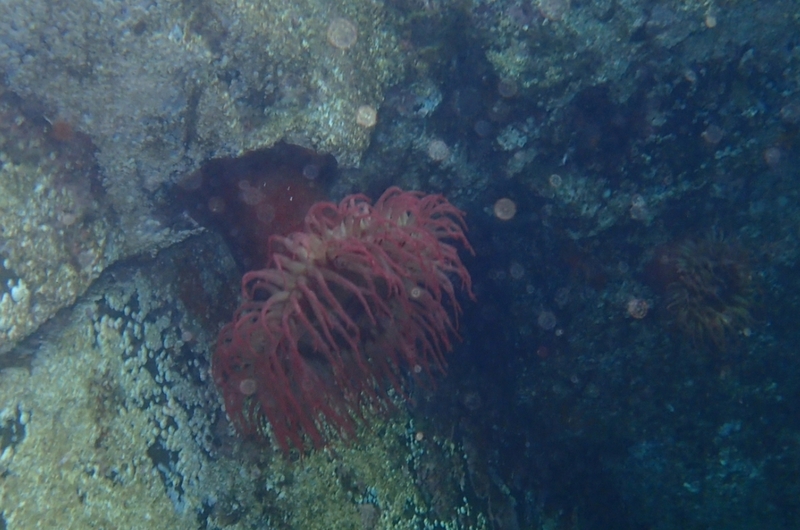 We found more of the same life and we found a single 300 ft stretch of 1000s of baby white sea anemones out of the water finally after a month but no adults . 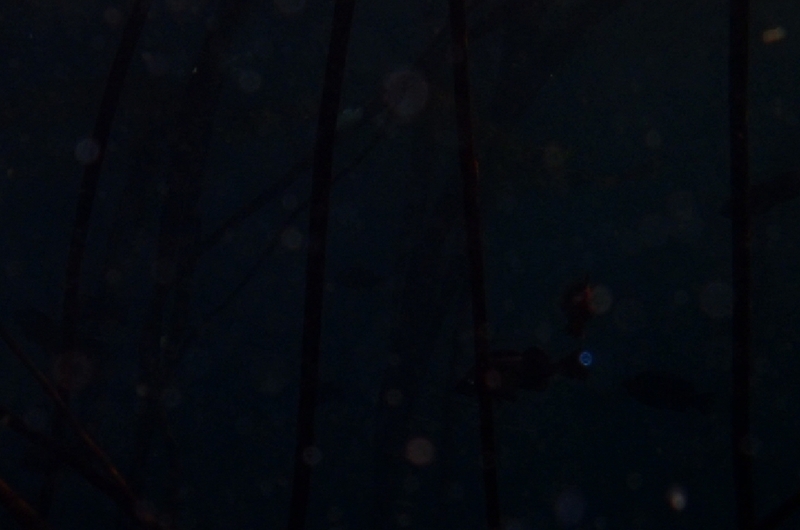 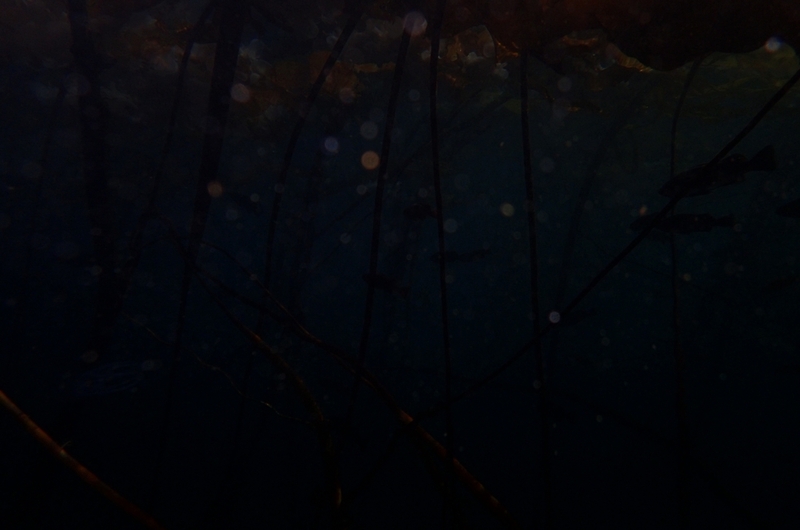 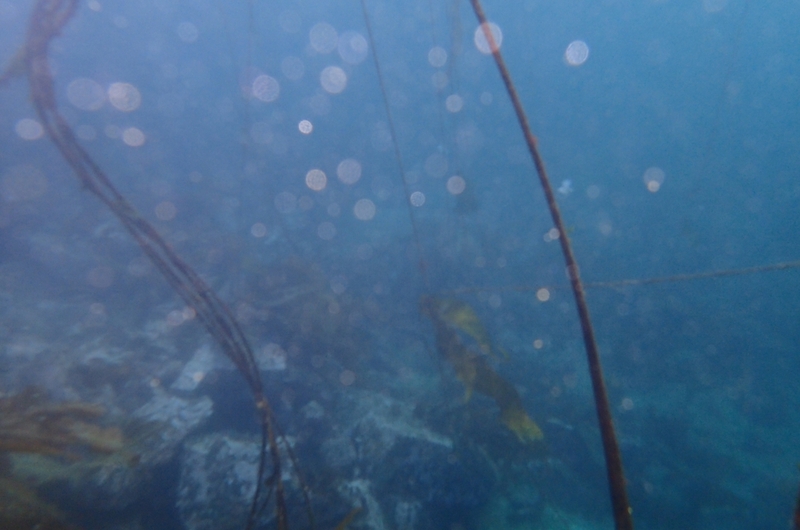 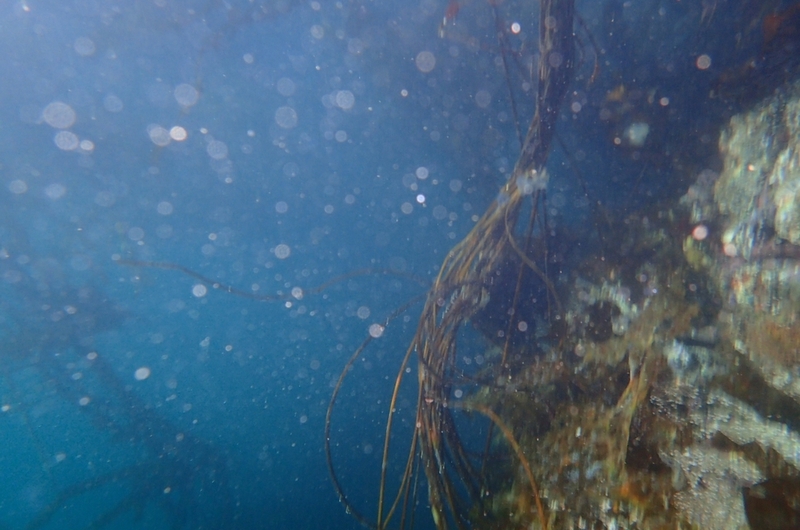 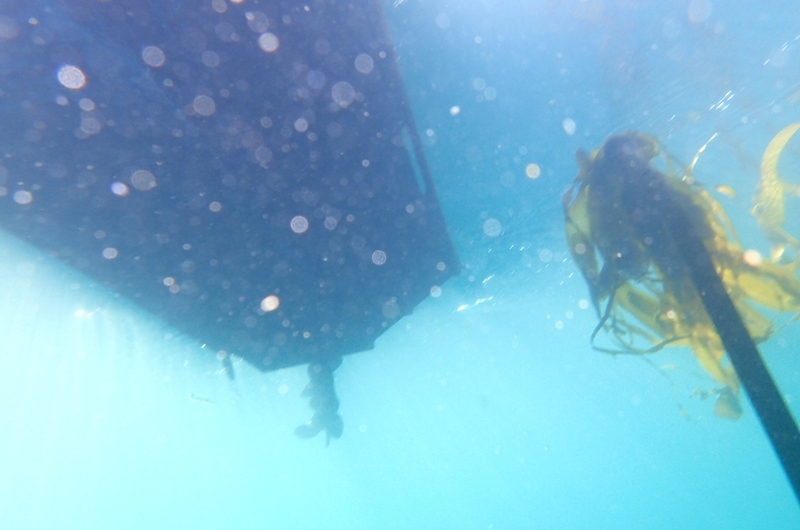 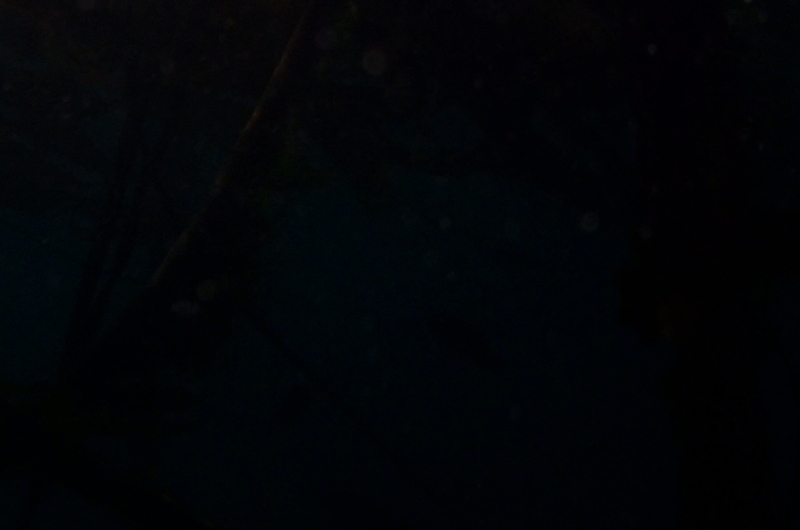 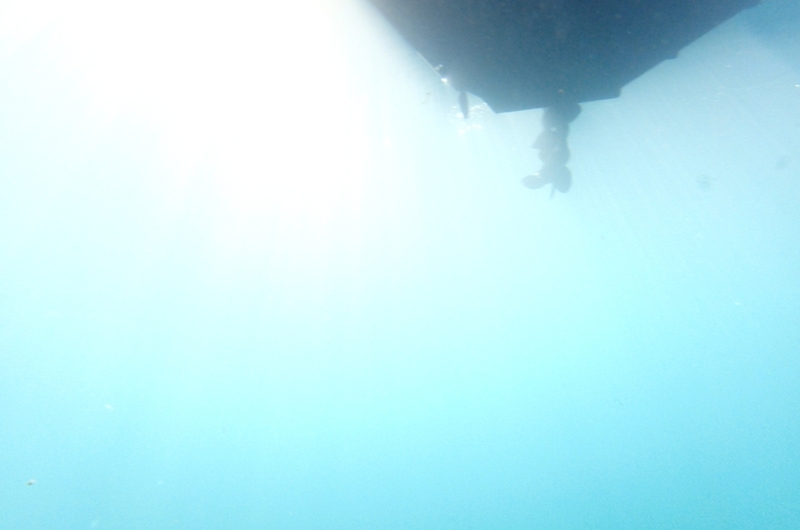 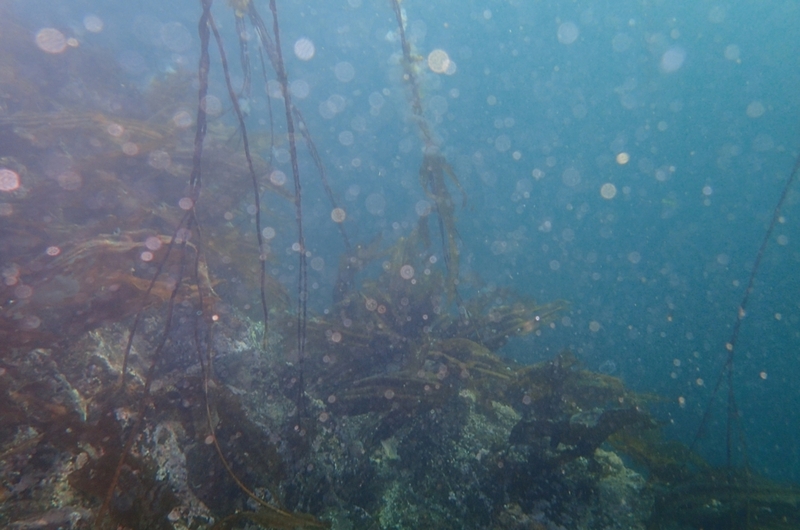 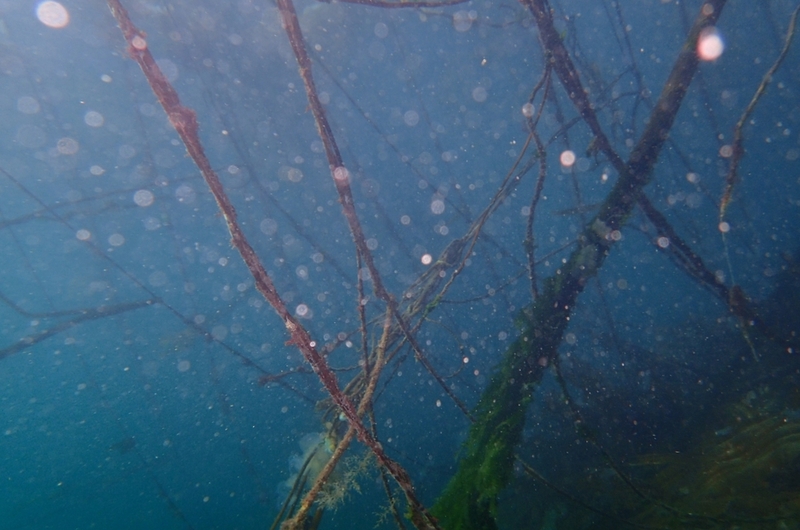 The underwater pictures do not look like a thriving environment . 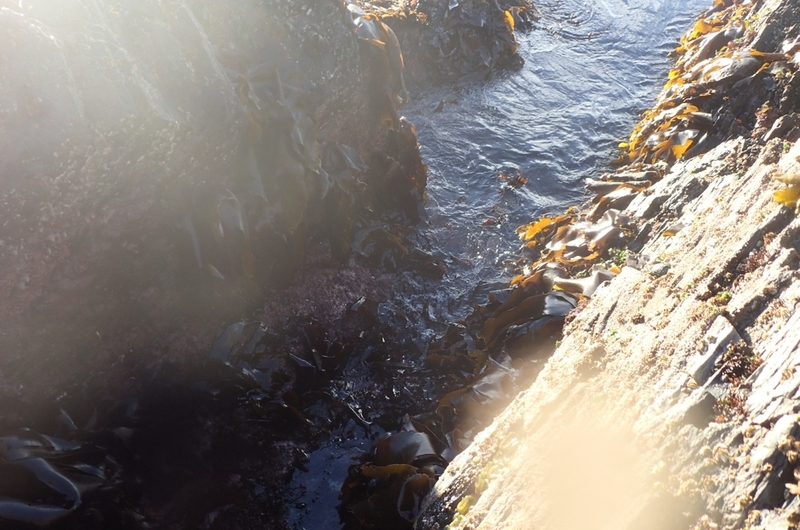 Its very difficult to get band width any where so picture are screen captures and zooms of choice shots to give you context . 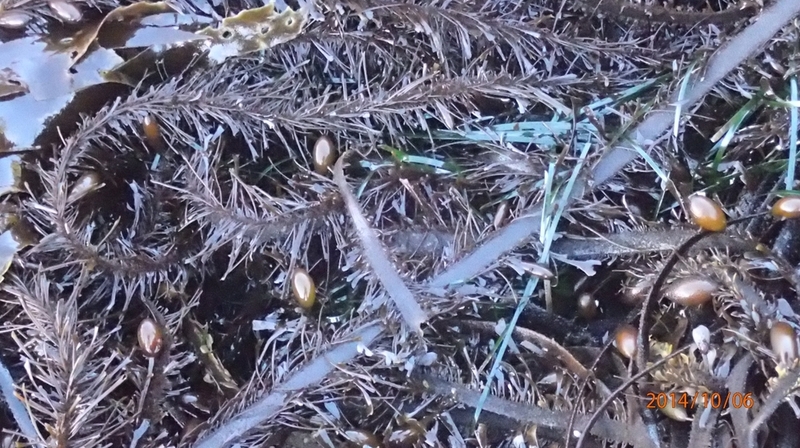 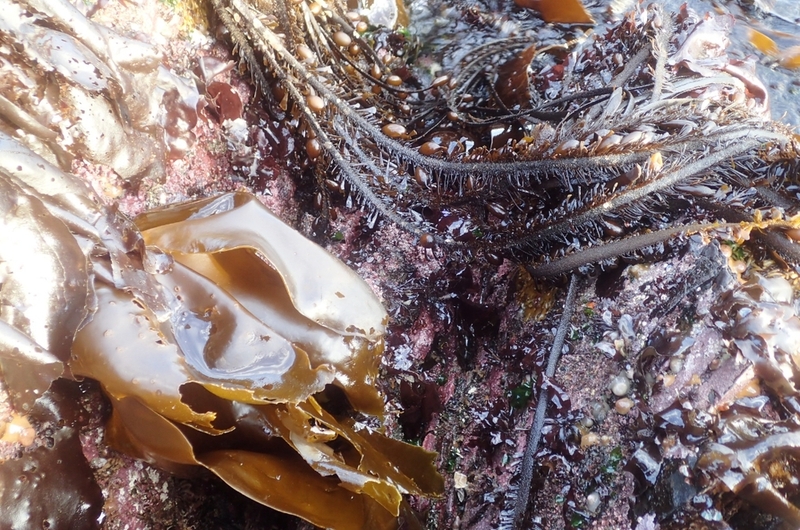 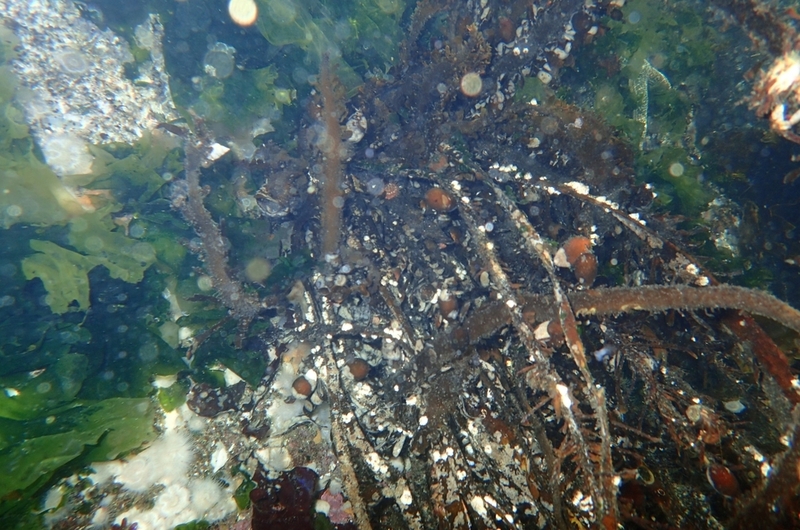 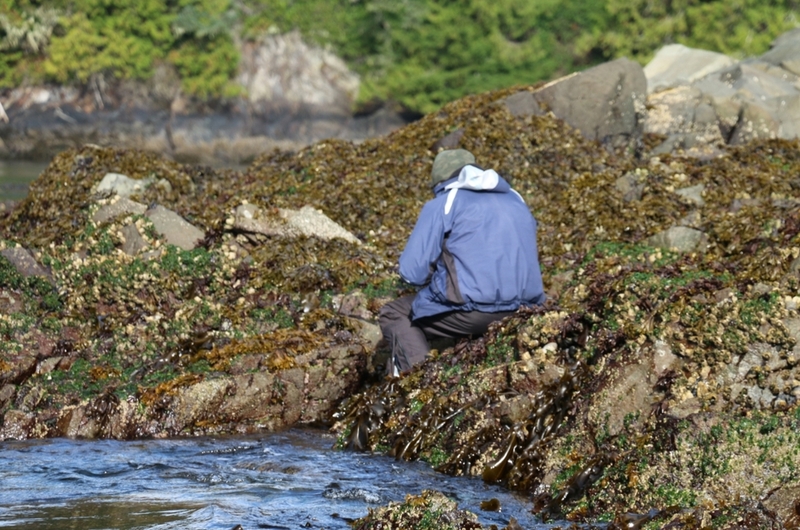 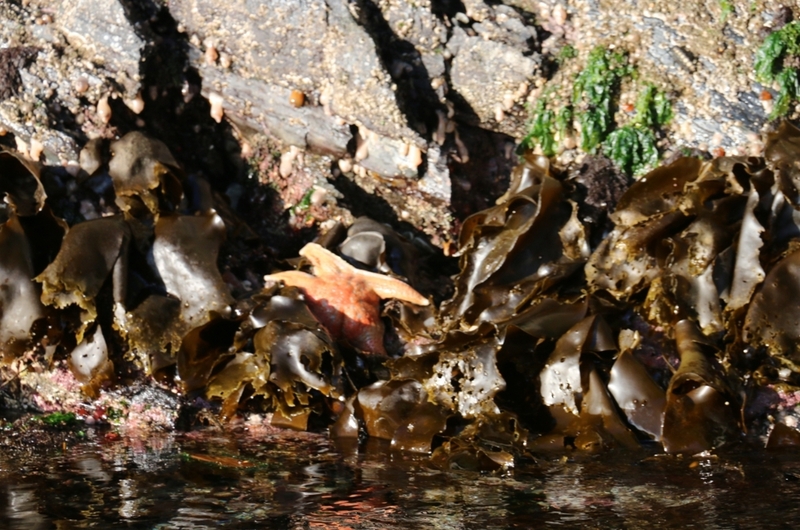 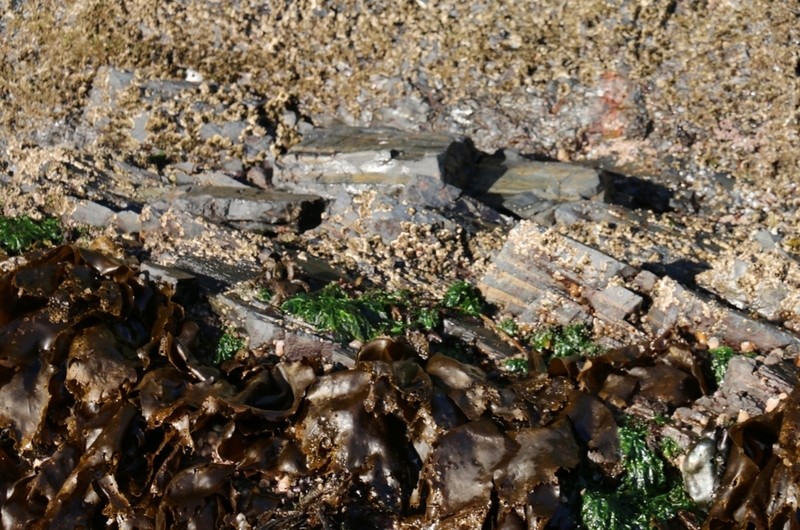 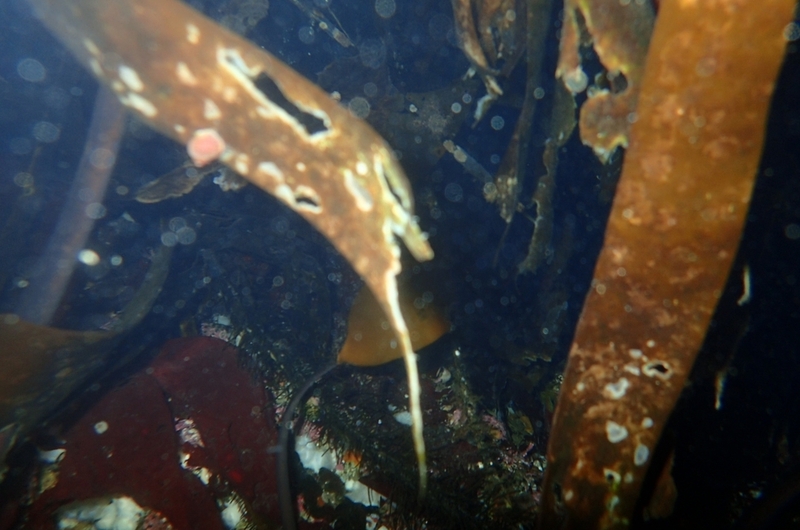 We find a few species everywhere we go but never all the same species on one place mostly the same handful of kelp's , it appears from the last 2 months of pictures about 560 kelp's and algae are missing from the tidal pools that happen to be empty of everything except for the same 70 sparse species .